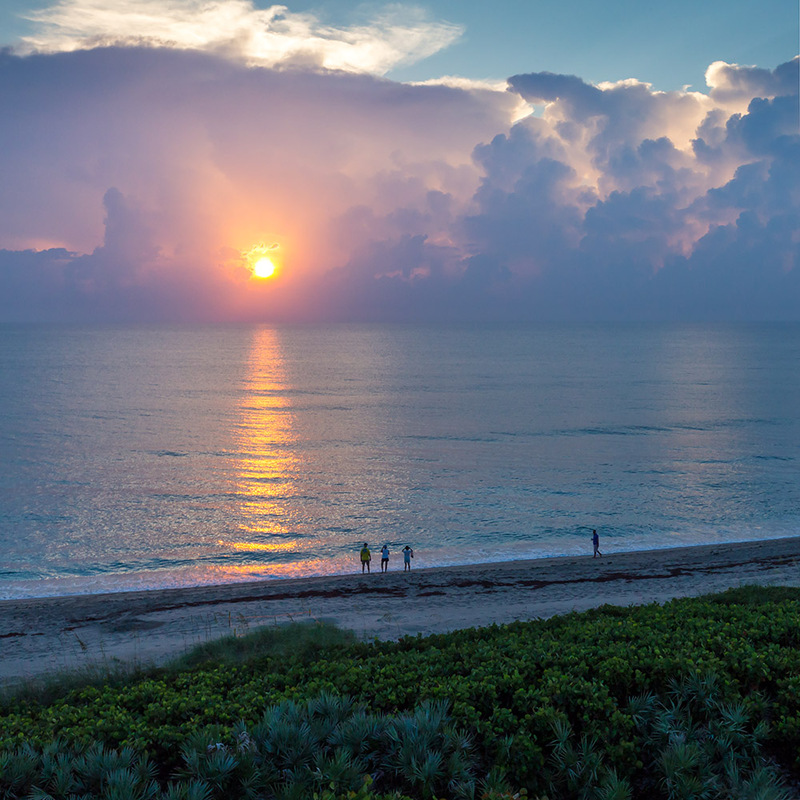 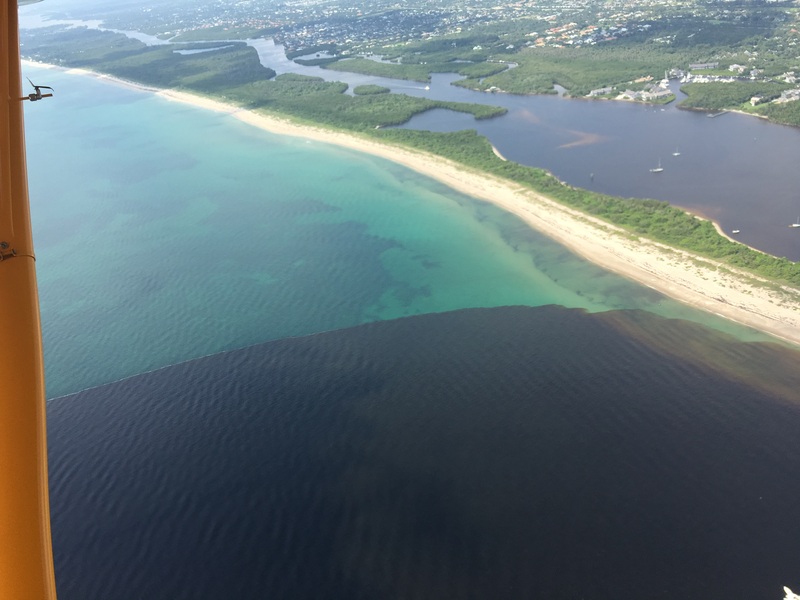 Such has been the direction from Martin County Government of whether the public is allowed to swim at area beaches. 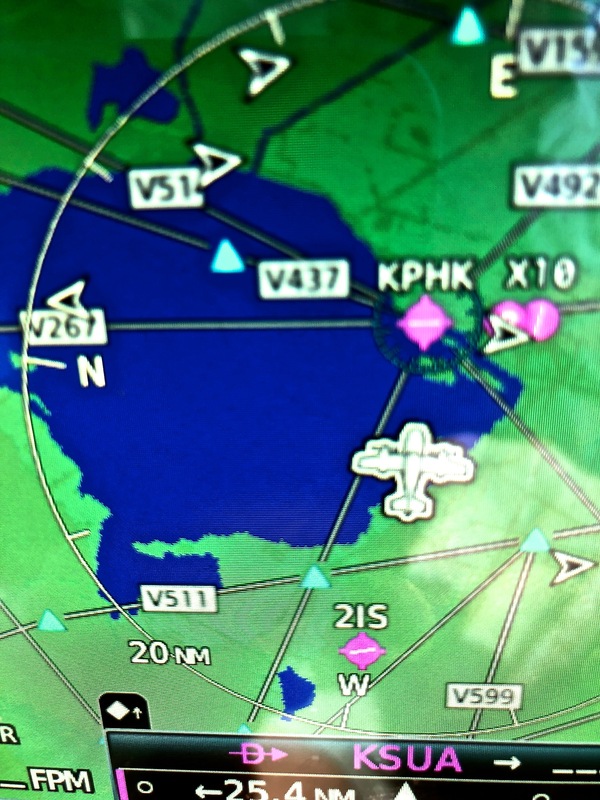 These changes are very difficult to keep up with! 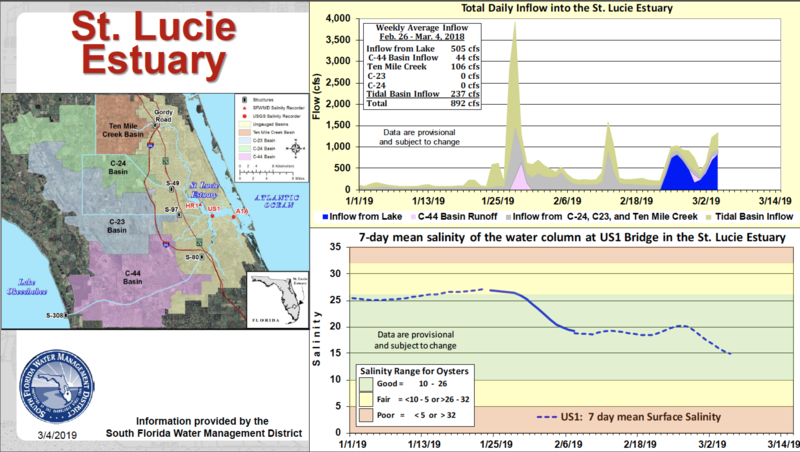 Although the 2018 pulse release schedule from the ACOE is certainly a good thing, and a positive effort, one has to wonder if that is part of the reason for the recent back and forth scenario reporting. 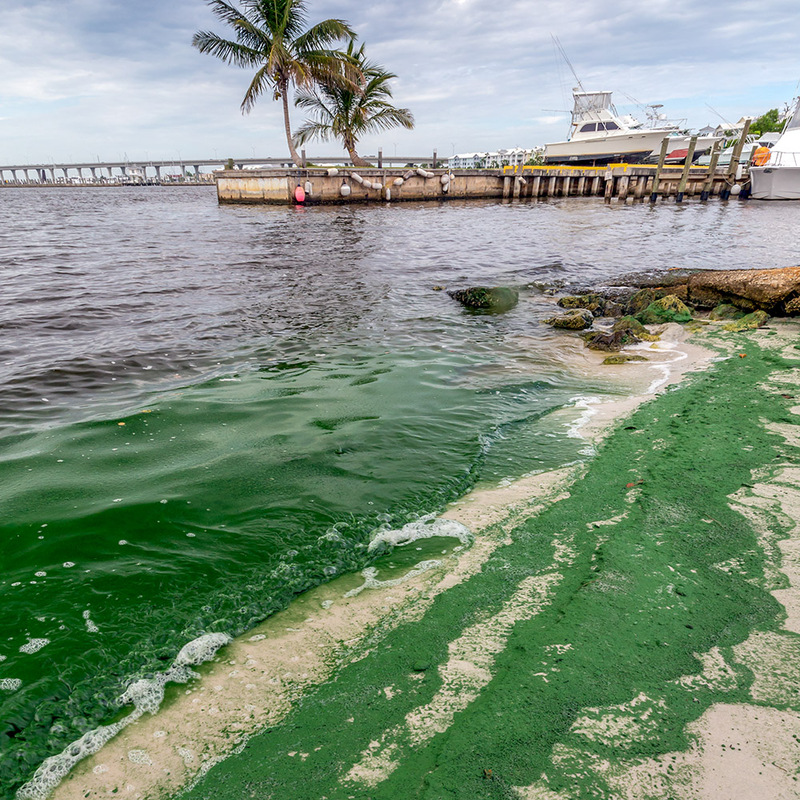 In 2016 with no pulse releases the algae was everywhere and plastered the beaches with no breaks. 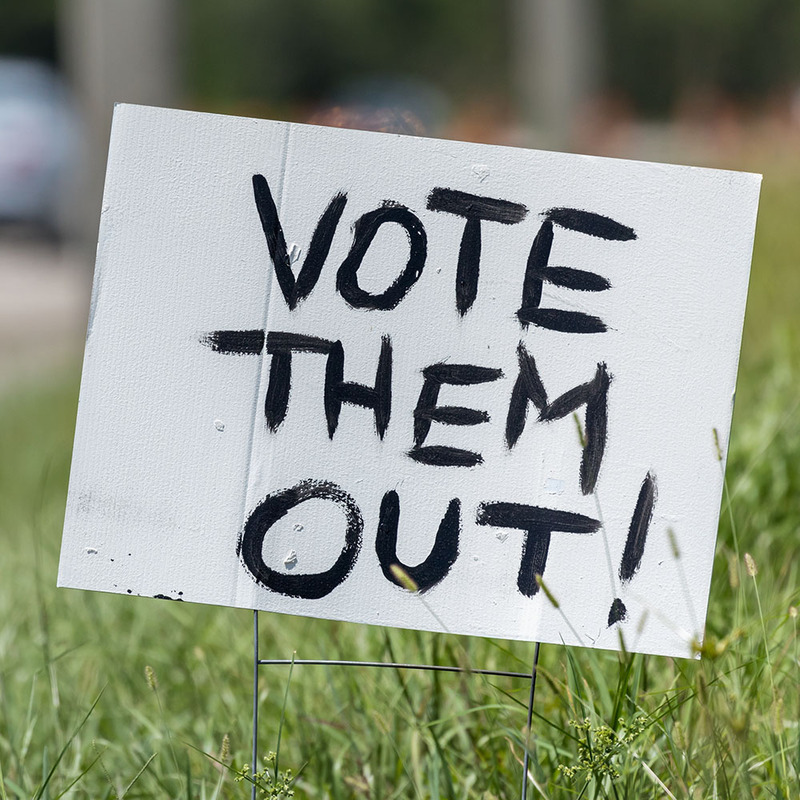 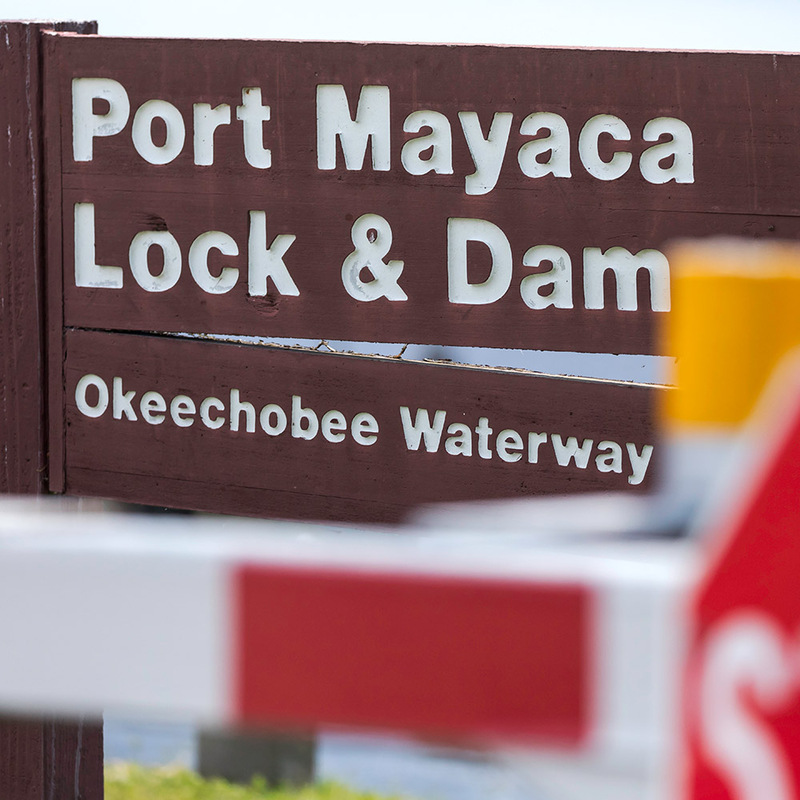 In any case, it has been crazy around here, and unfortunately, the only safe way to deal with things, is to take the “may” out of the permanent signs and not to swim in the water anywhere. 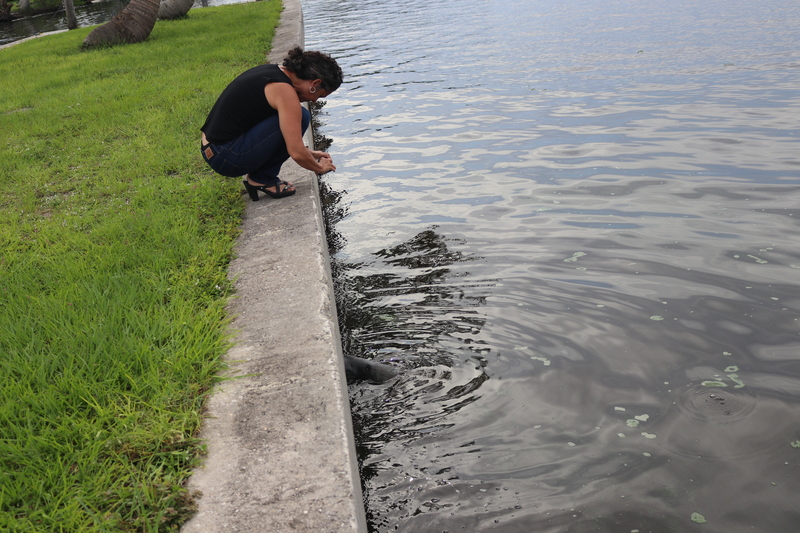 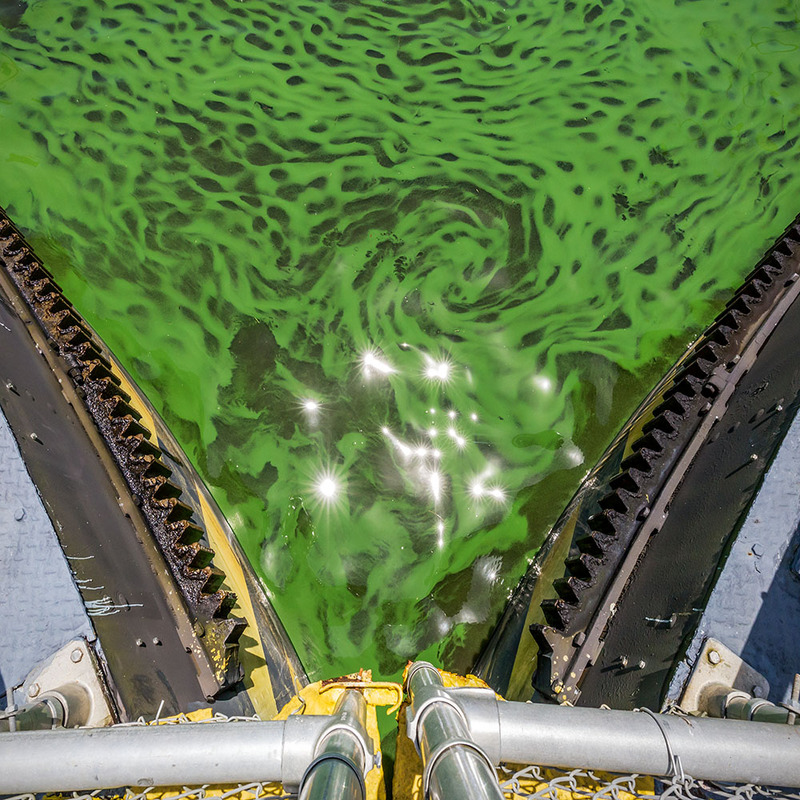 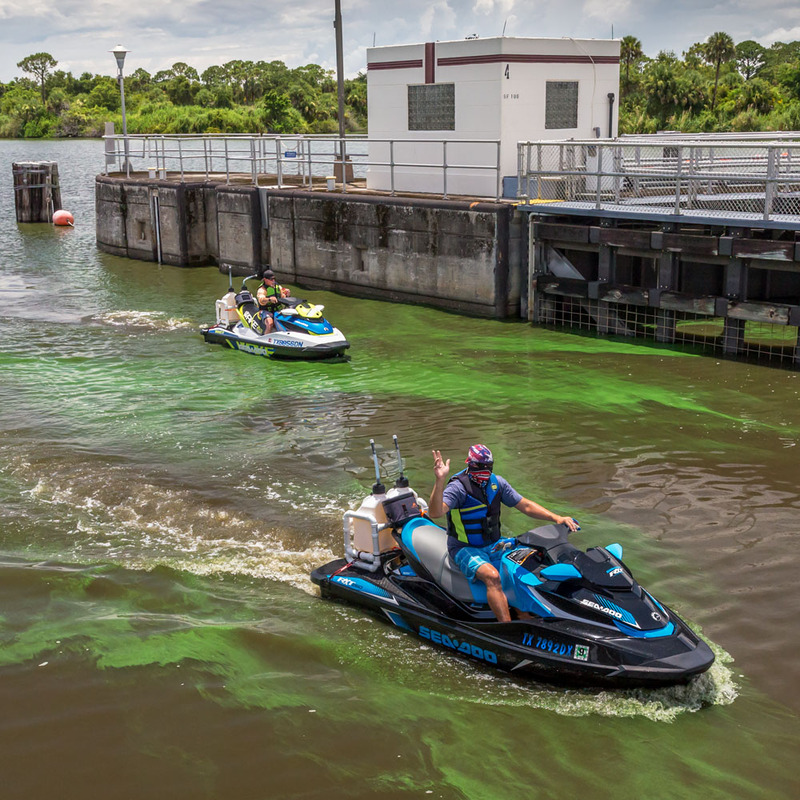 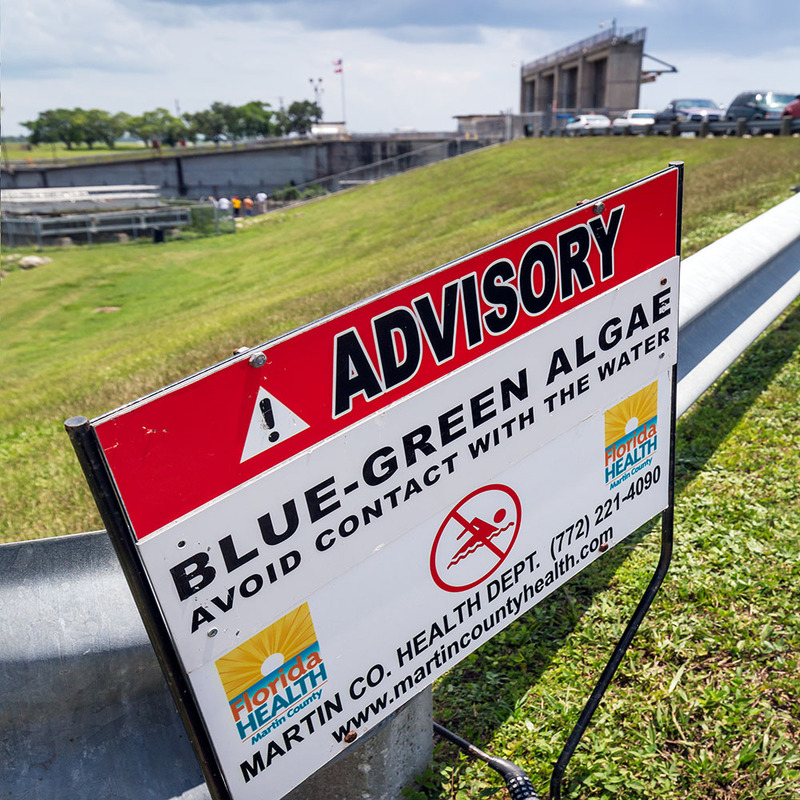 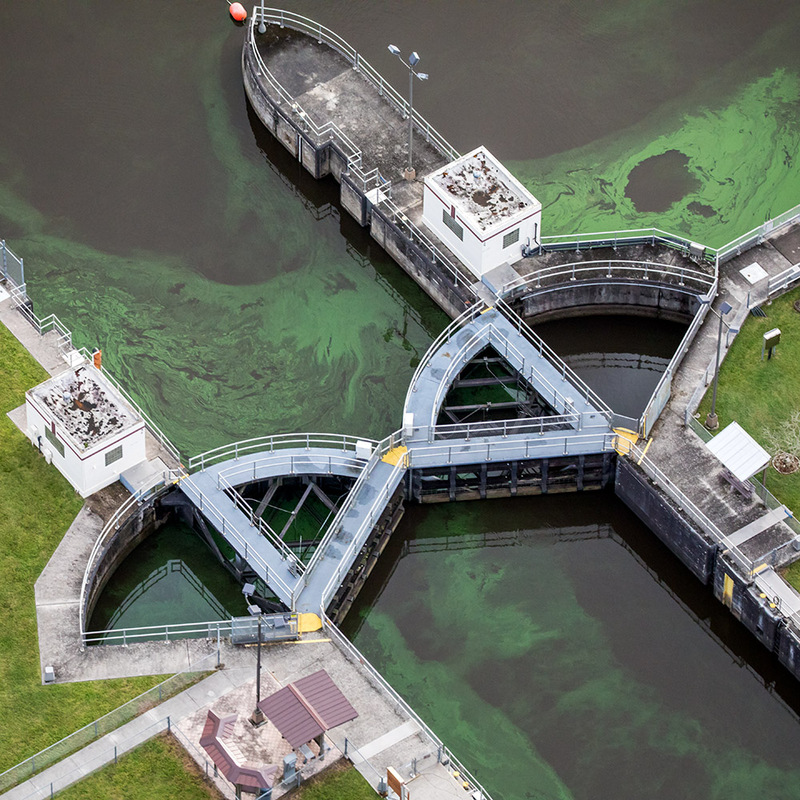 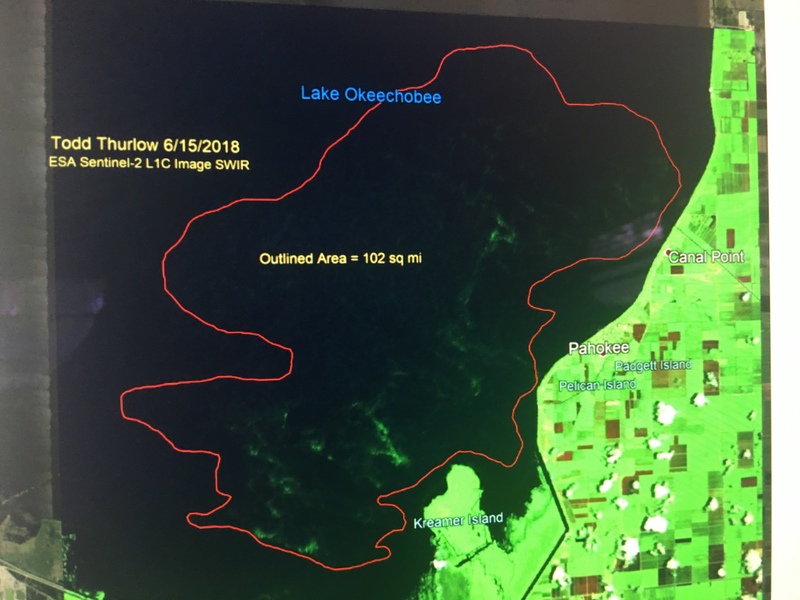 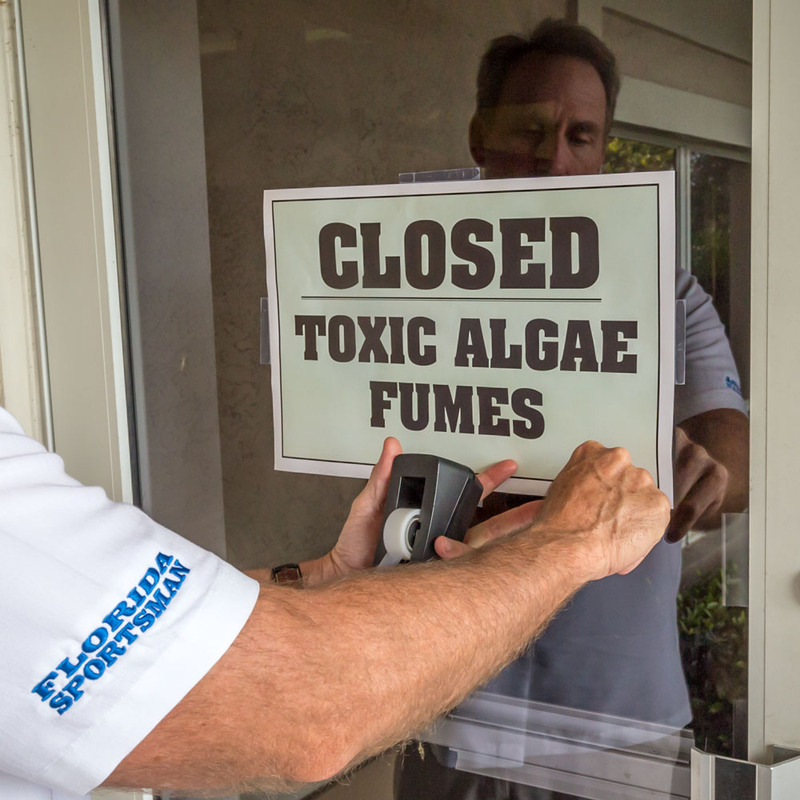 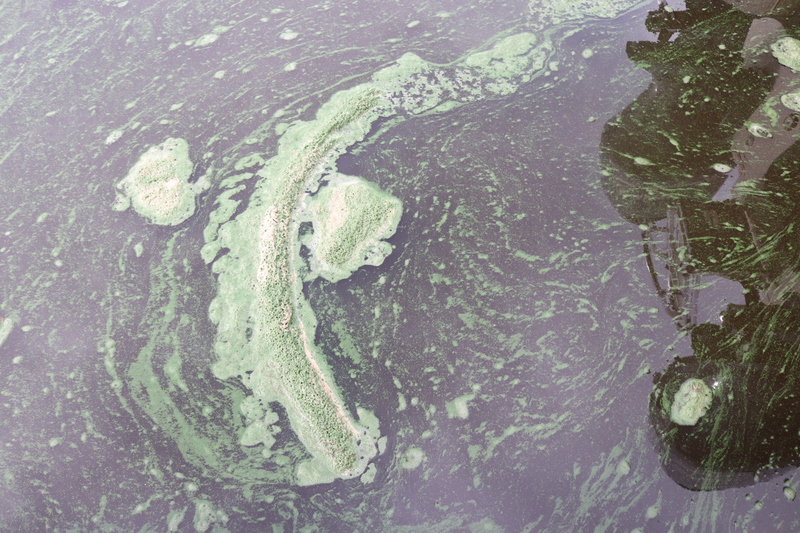 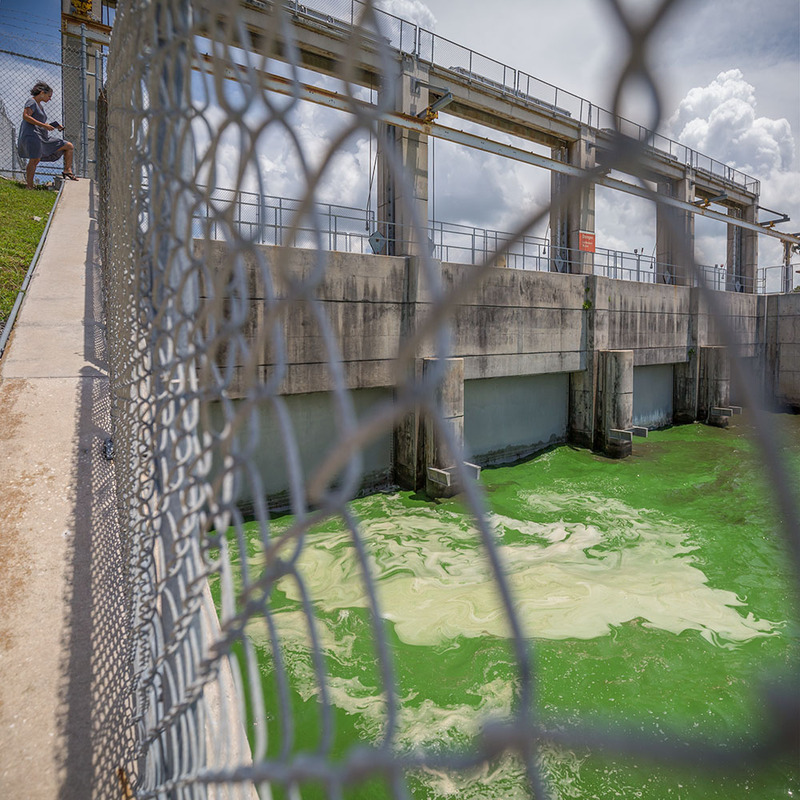 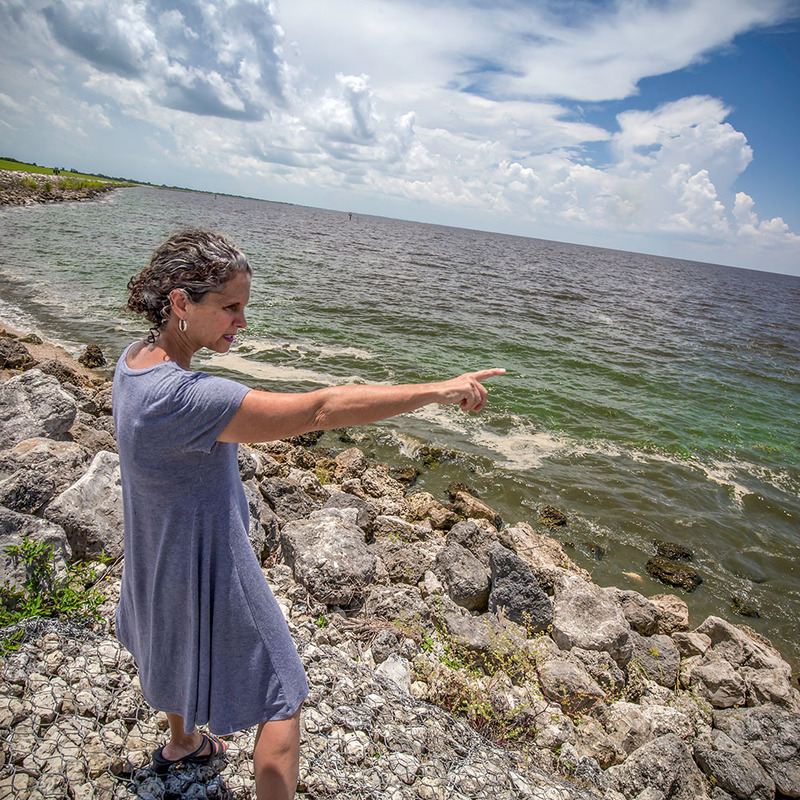 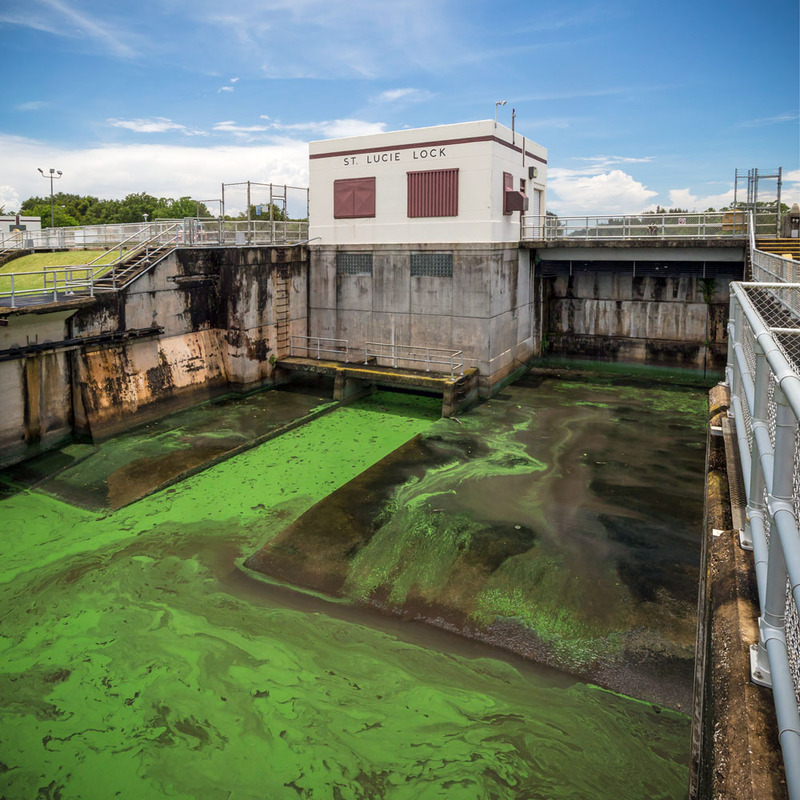 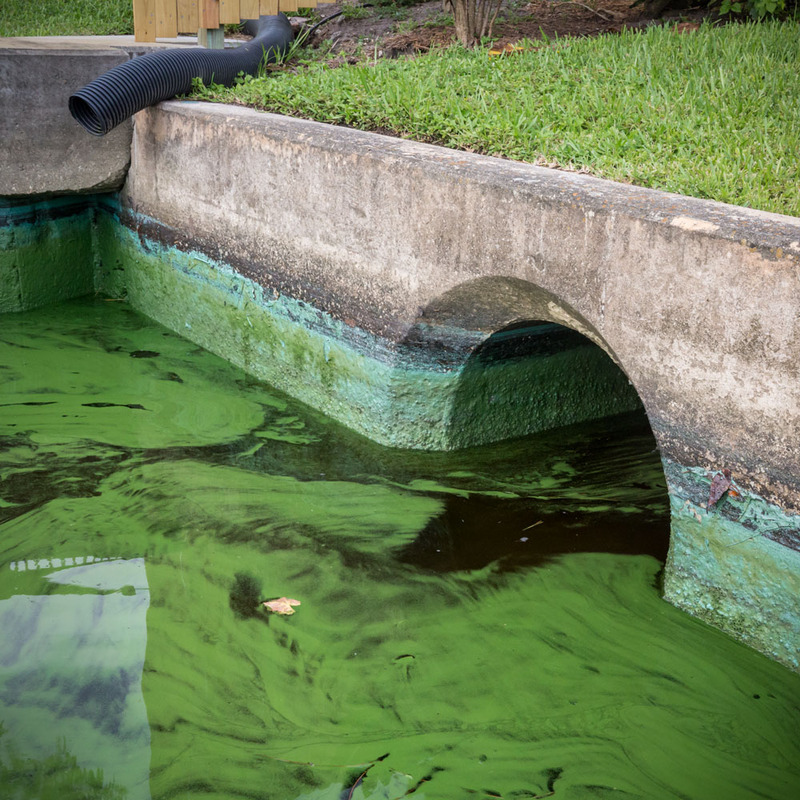 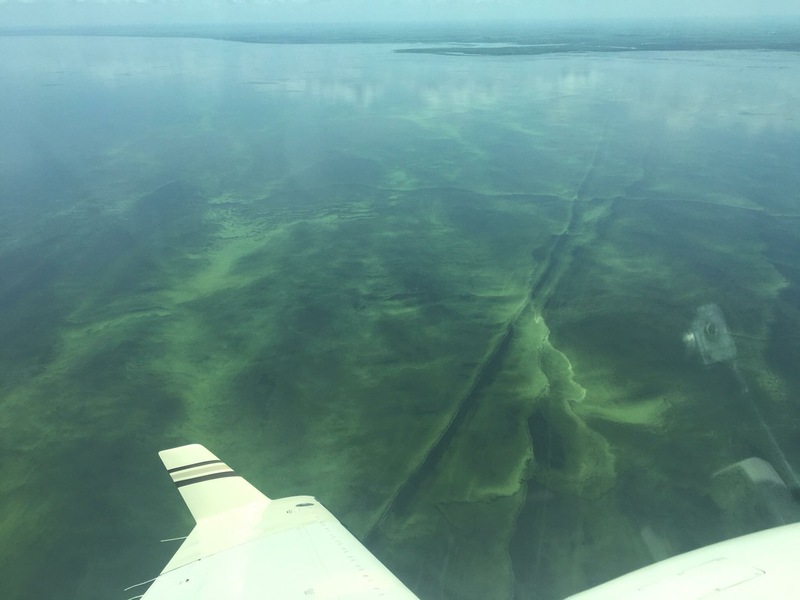 When I visited lifeguards at Bathtub Beach on August 24, the word was if one got on a surfboard and paddled out 50 yards, cyanobacteria was floating in clumps in the sea water watered down by fresh water discharges from Lake Okeechobee since June 1st. 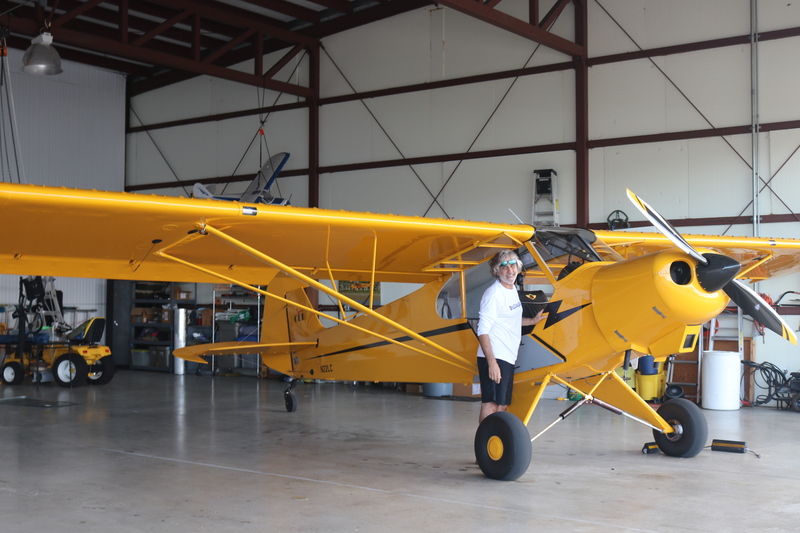 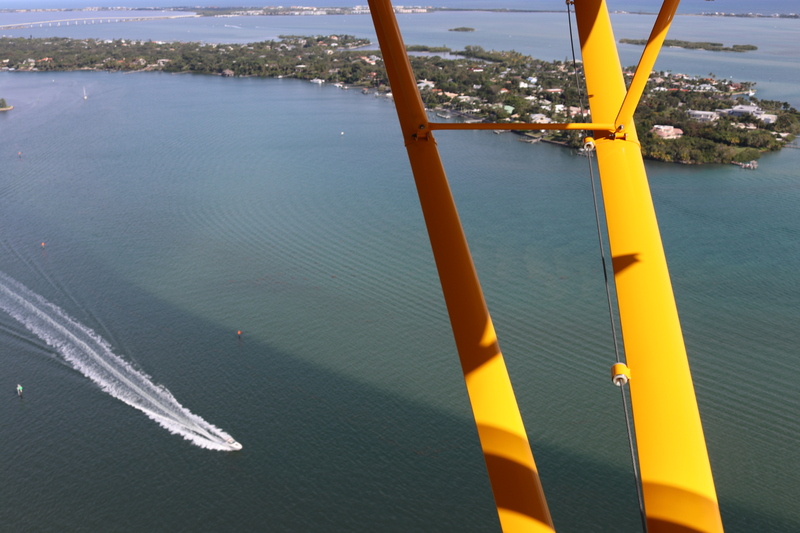 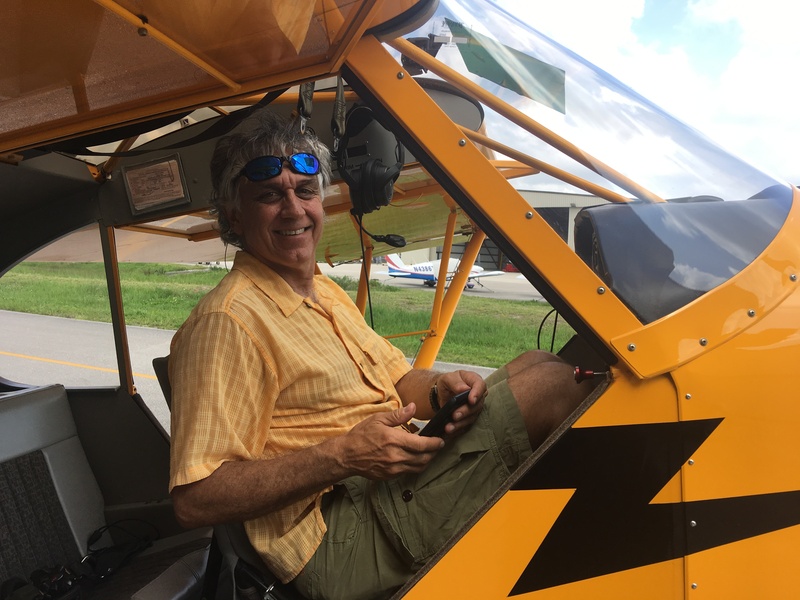 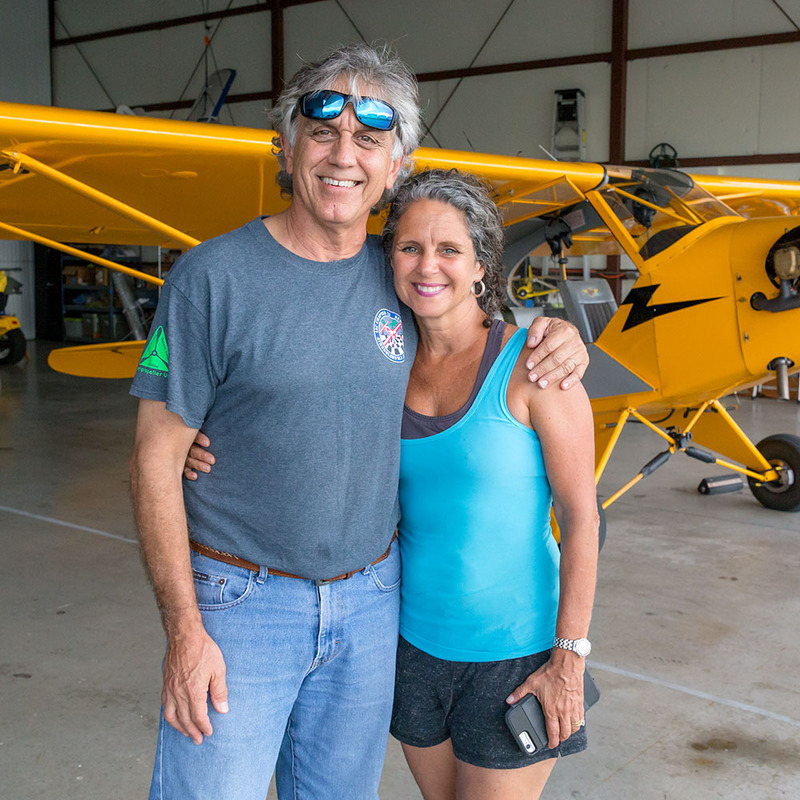 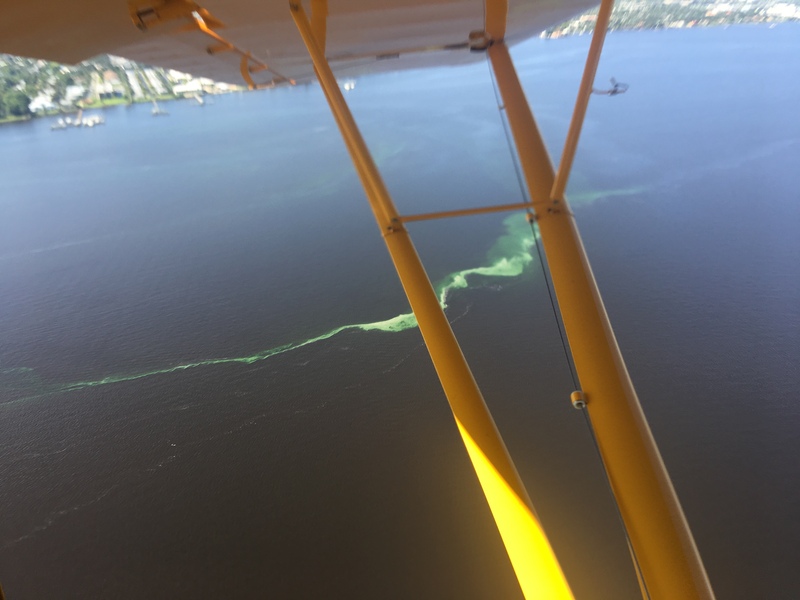 To try to get a handle on things, Ed and I took up the SuperCub for the first time on Saturday, the day all beaches were closed, and boy was that a good thing they were closed because blue-green algae was flowing down the St Lucie River in long arched lines. 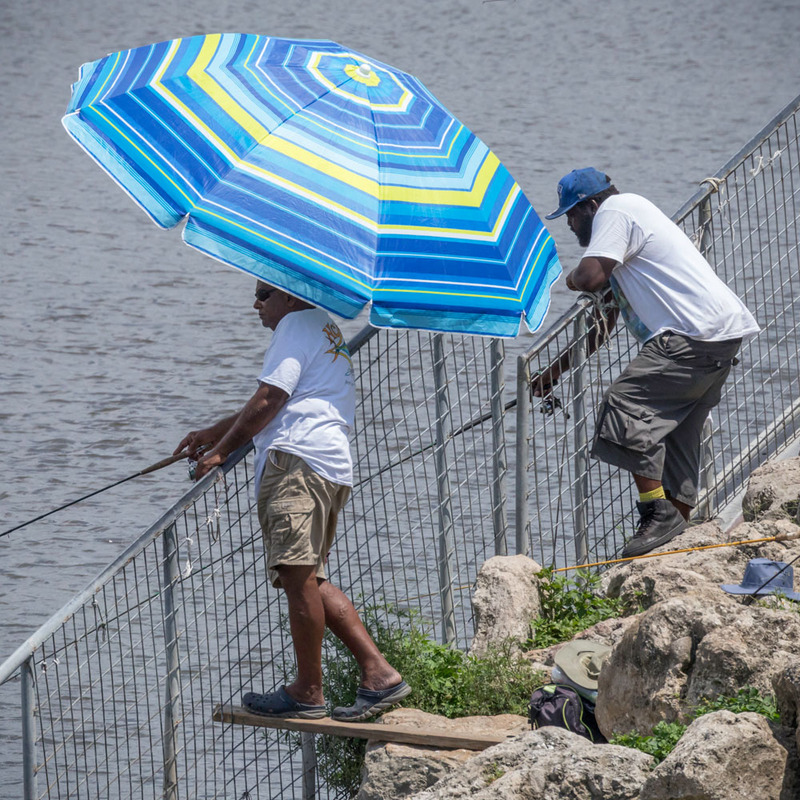 Right in the middle of the river! 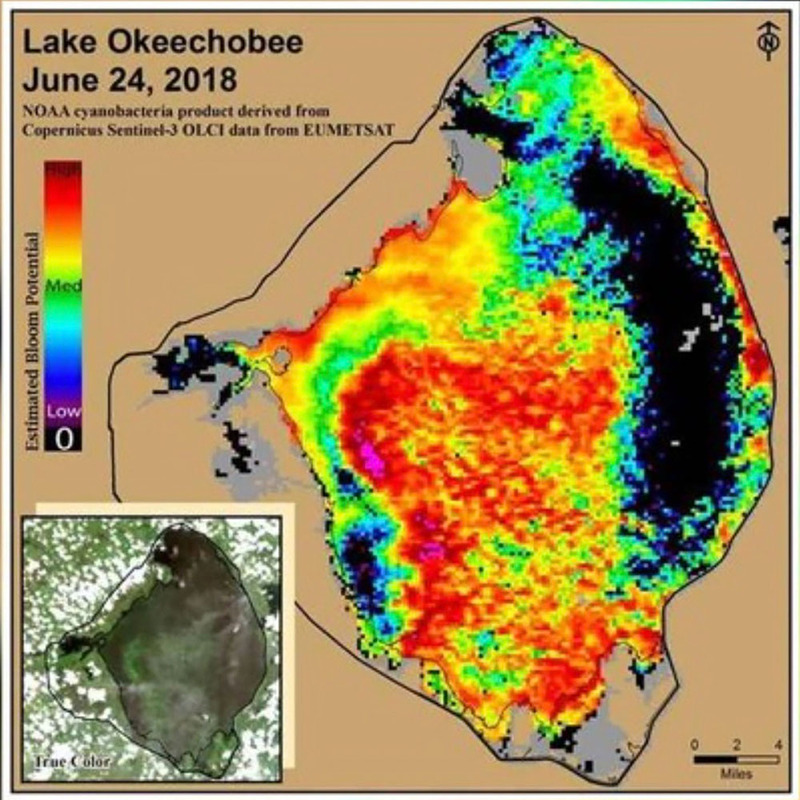 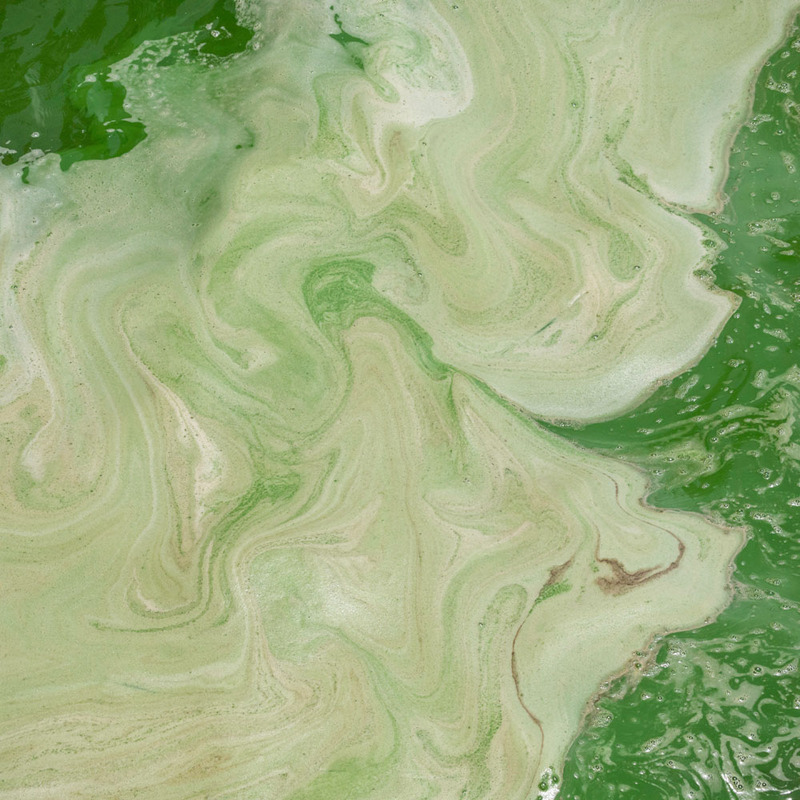 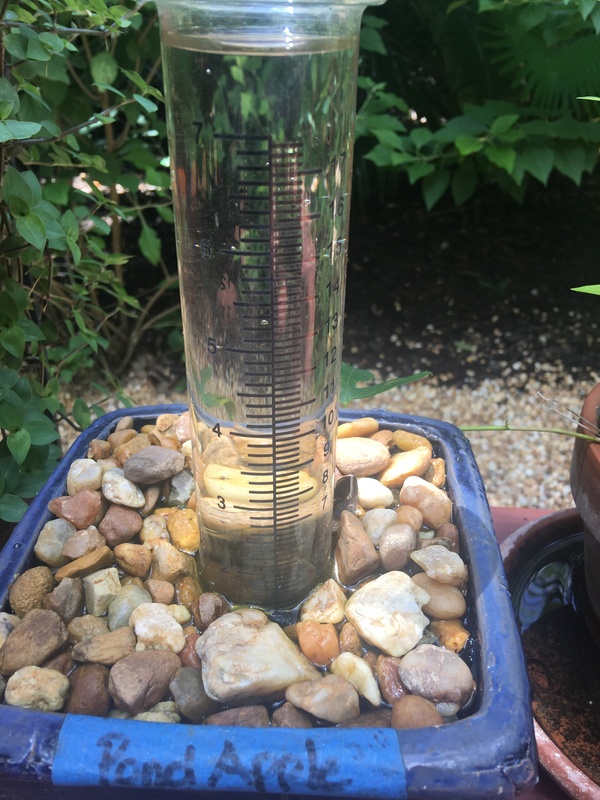 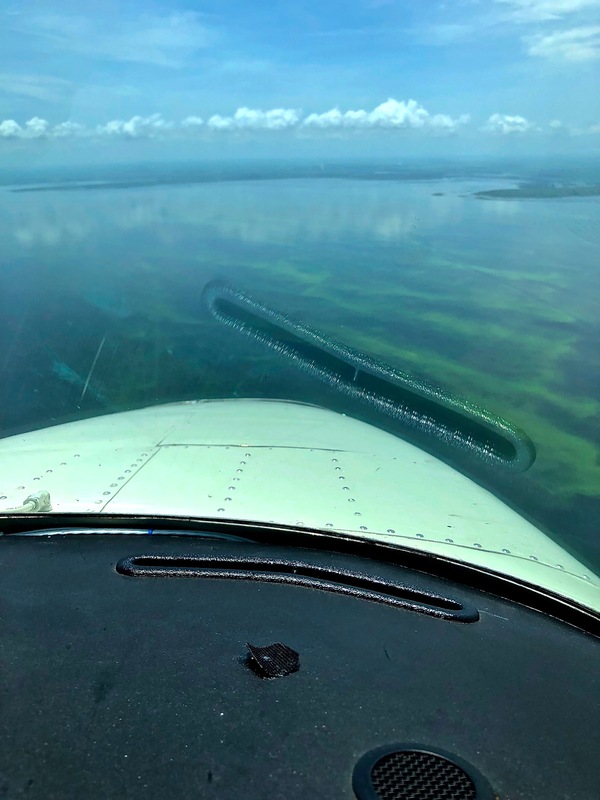 And this was a day the ACOE had stopped discharging from the Lake…As Ed and I were flying around up there in heavy winds, I was trying to figure out the timing of the algae’s 35 or so mile journey from Lake O and how the pulse releases would affect it. 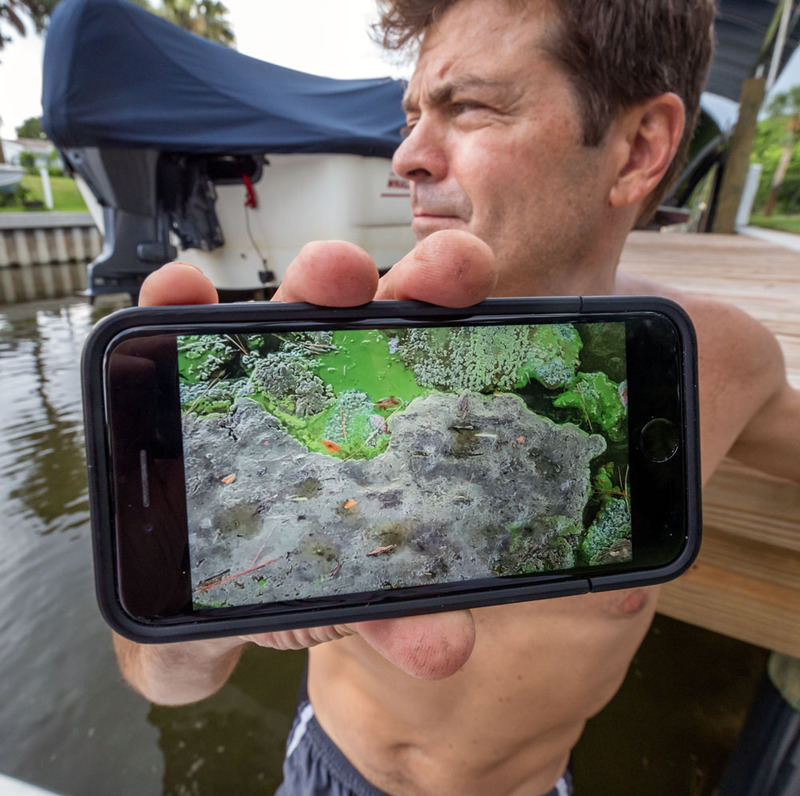 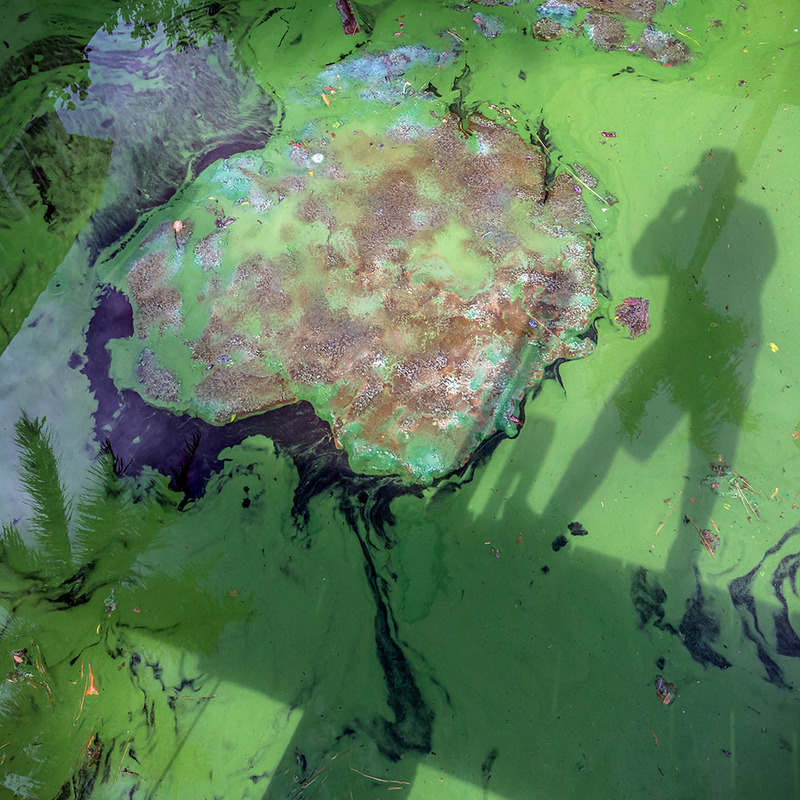 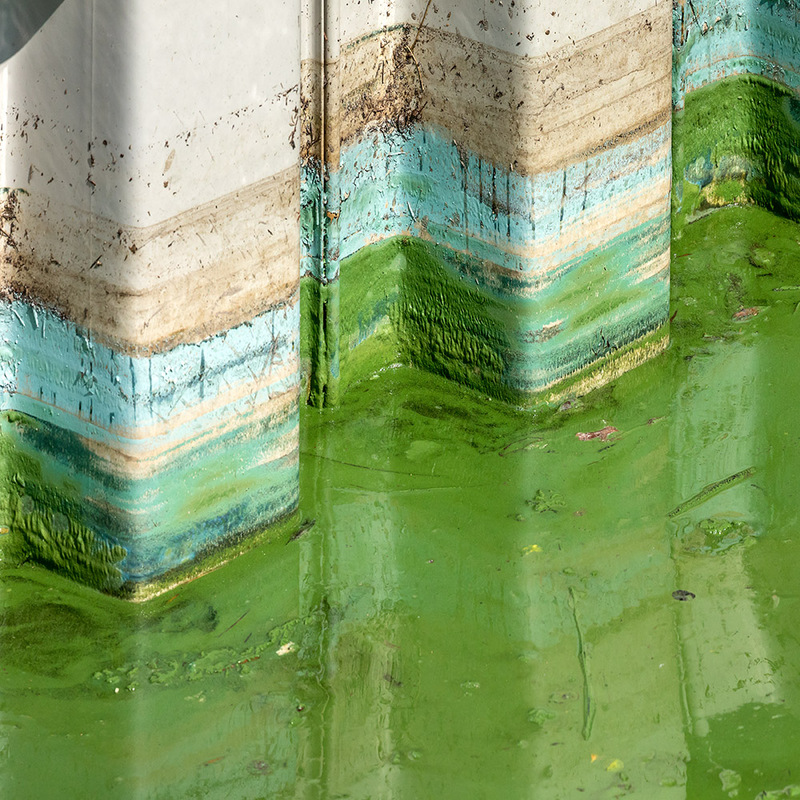 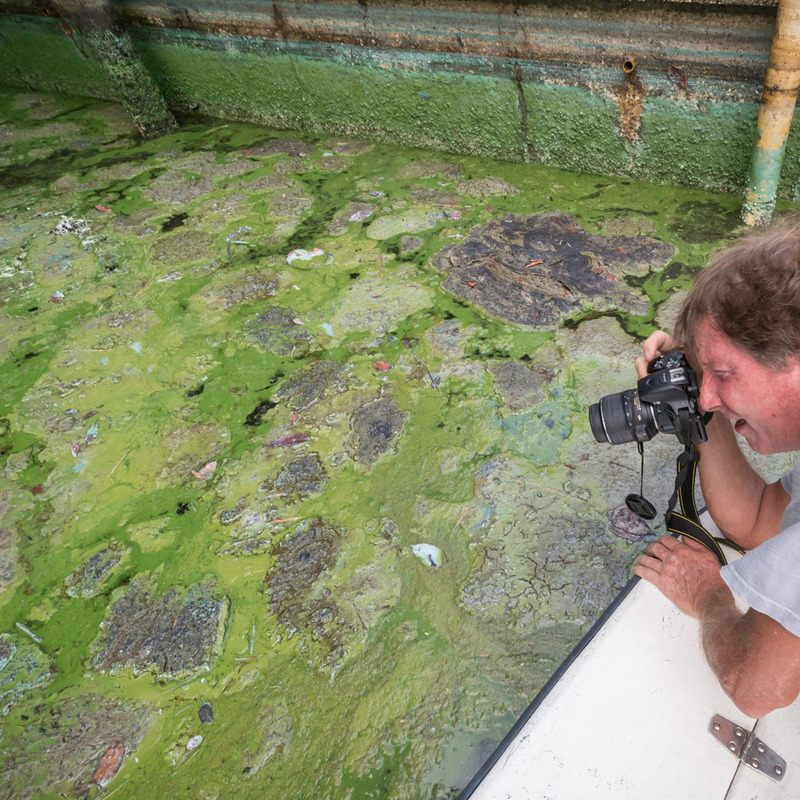 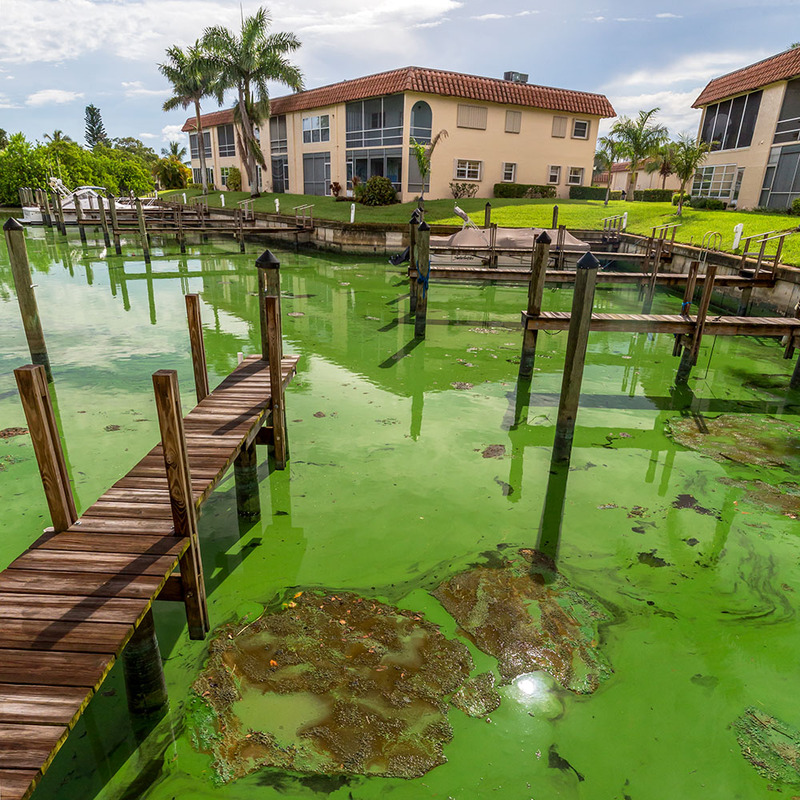 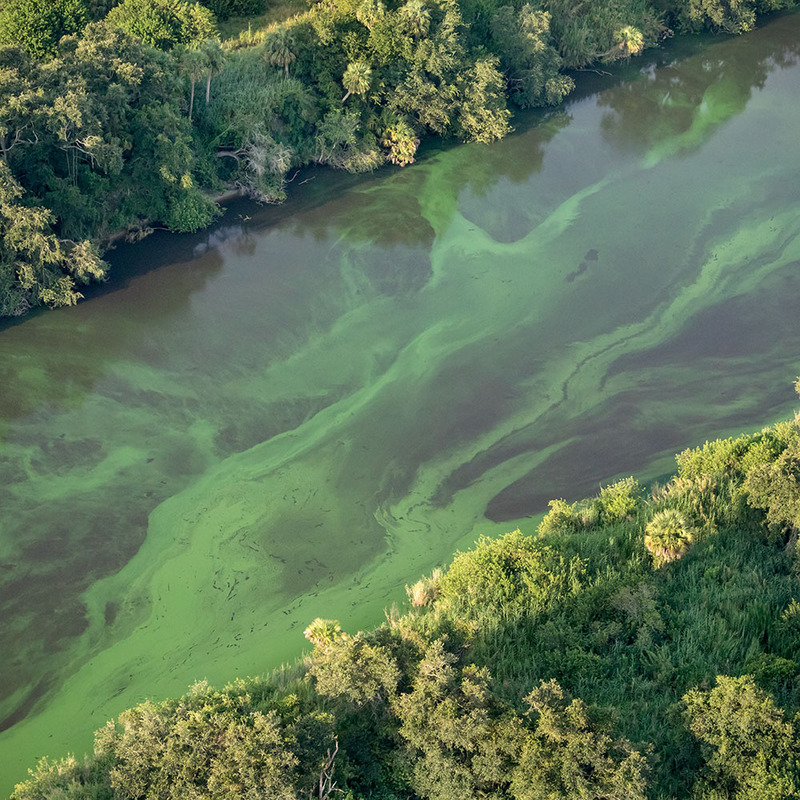 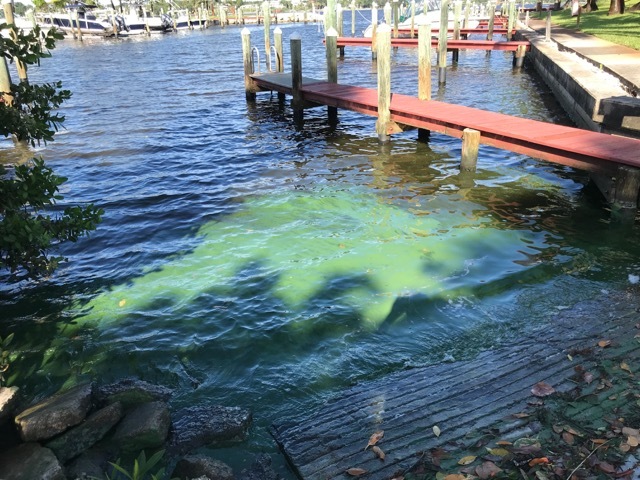 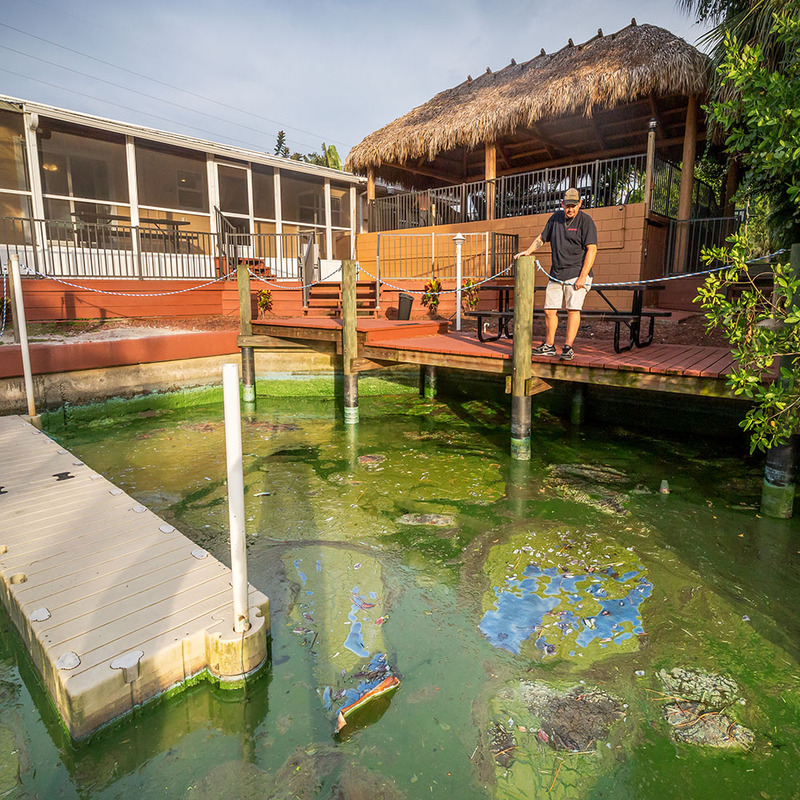 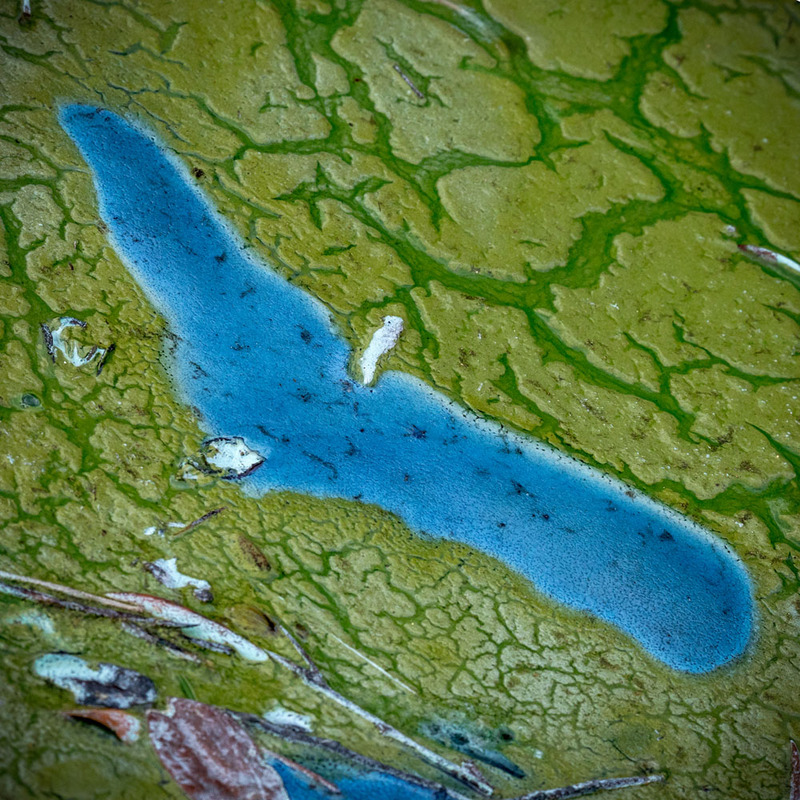 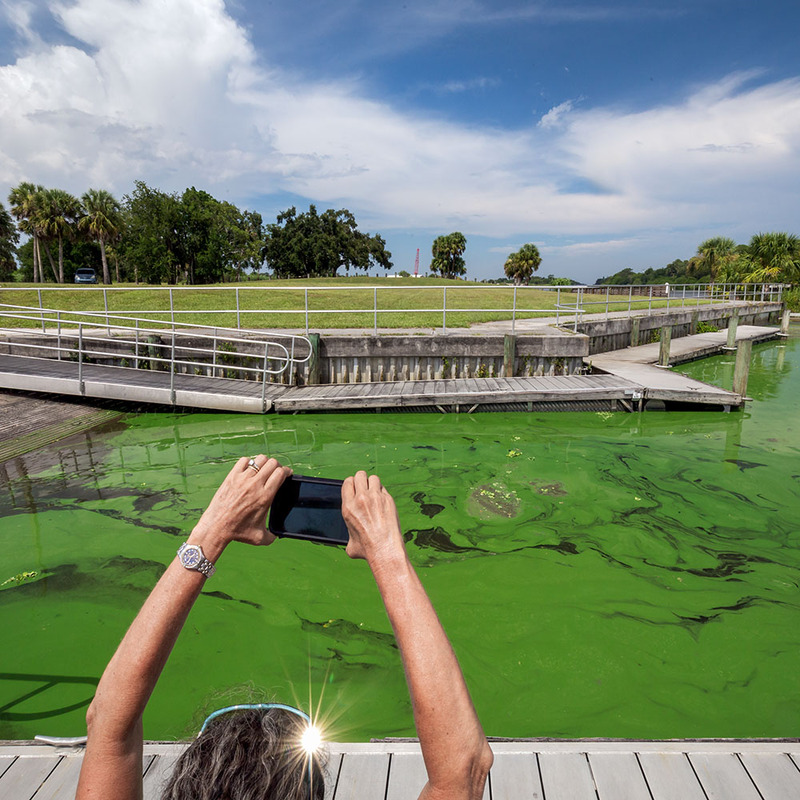 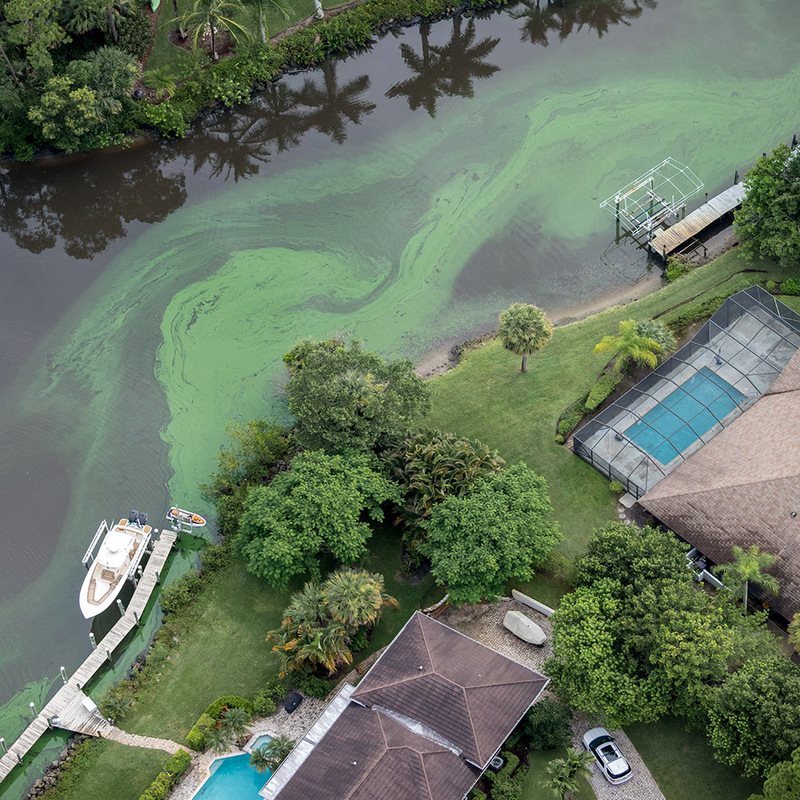 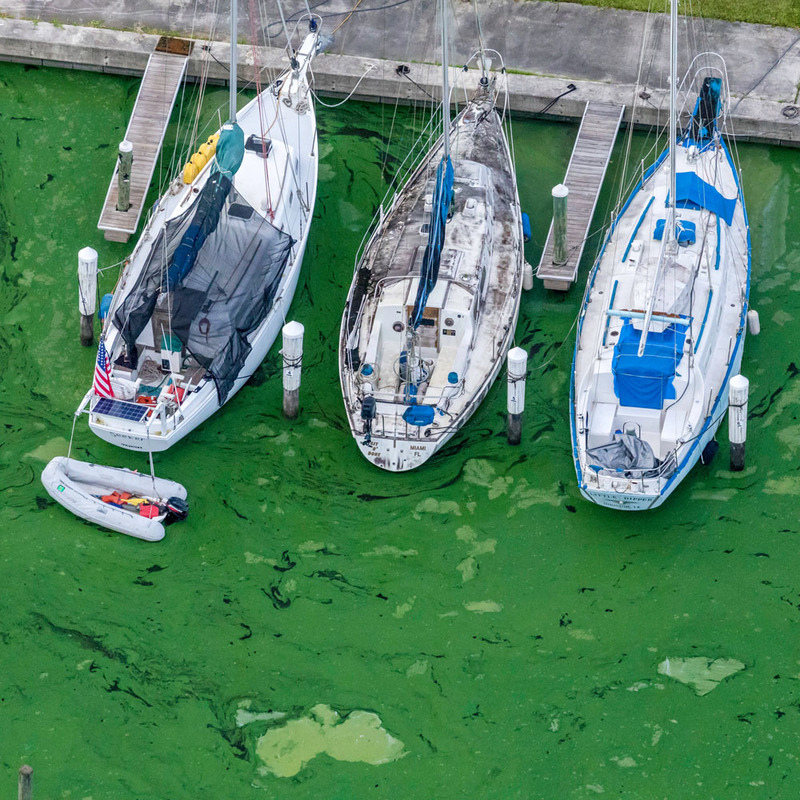 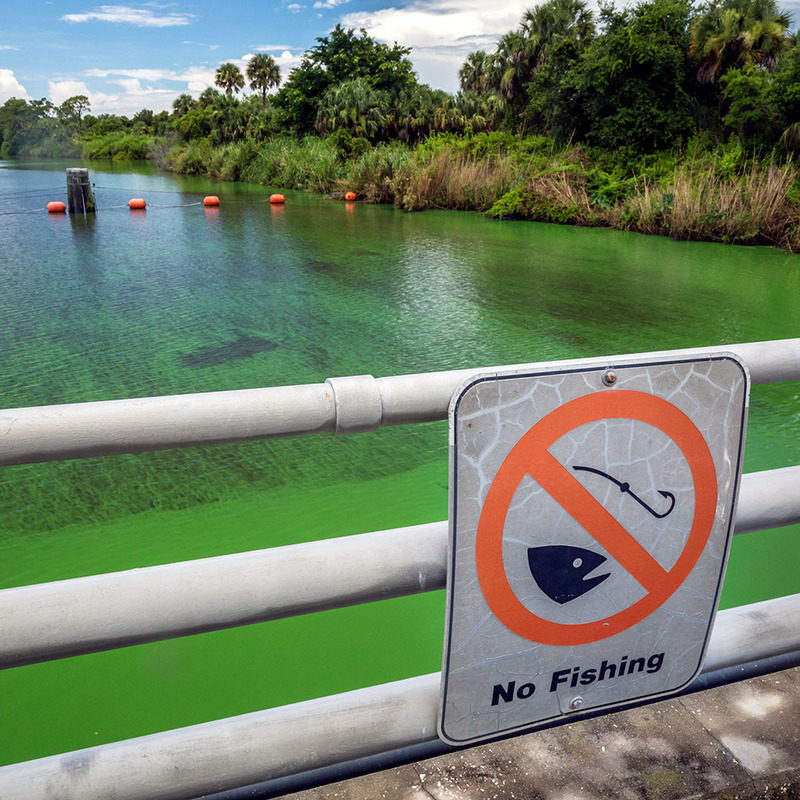 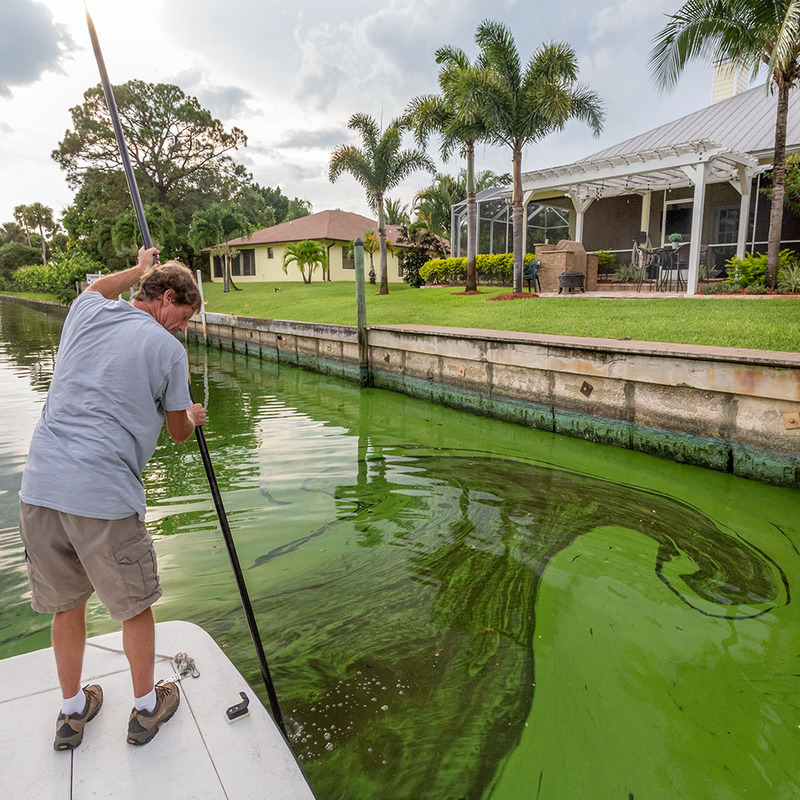 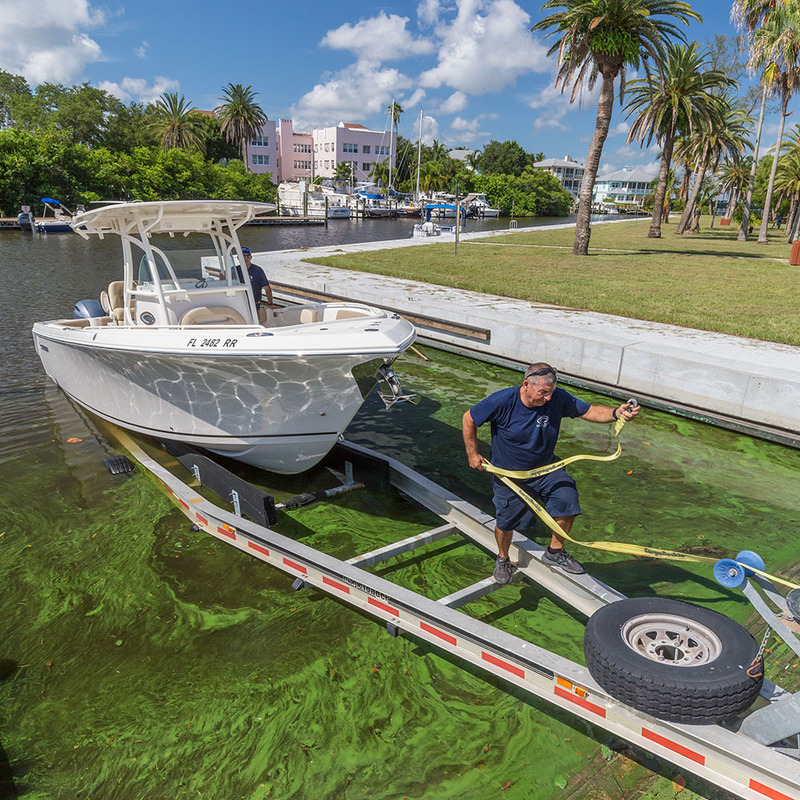 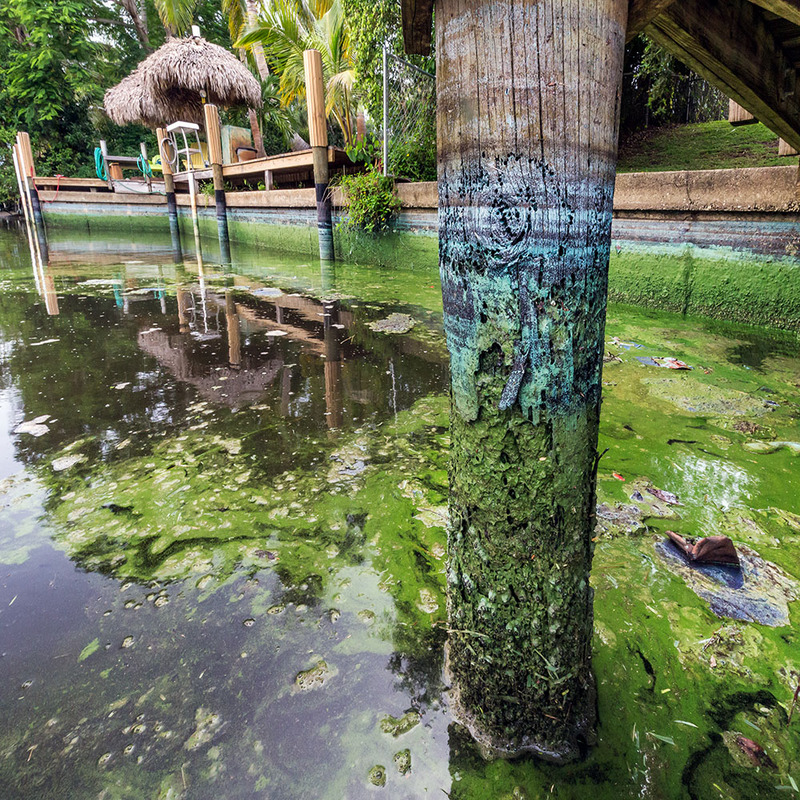 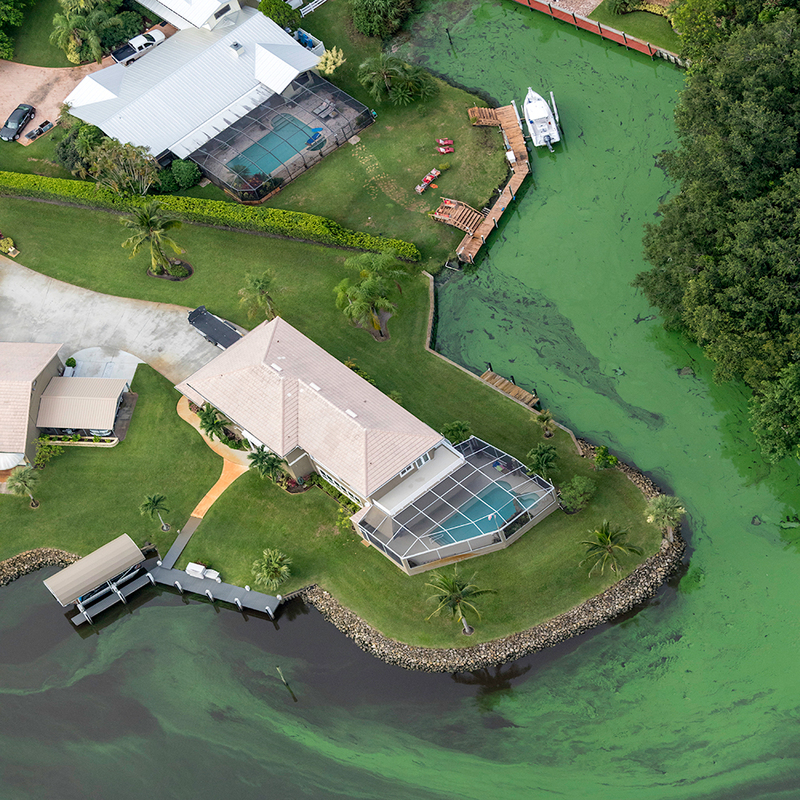 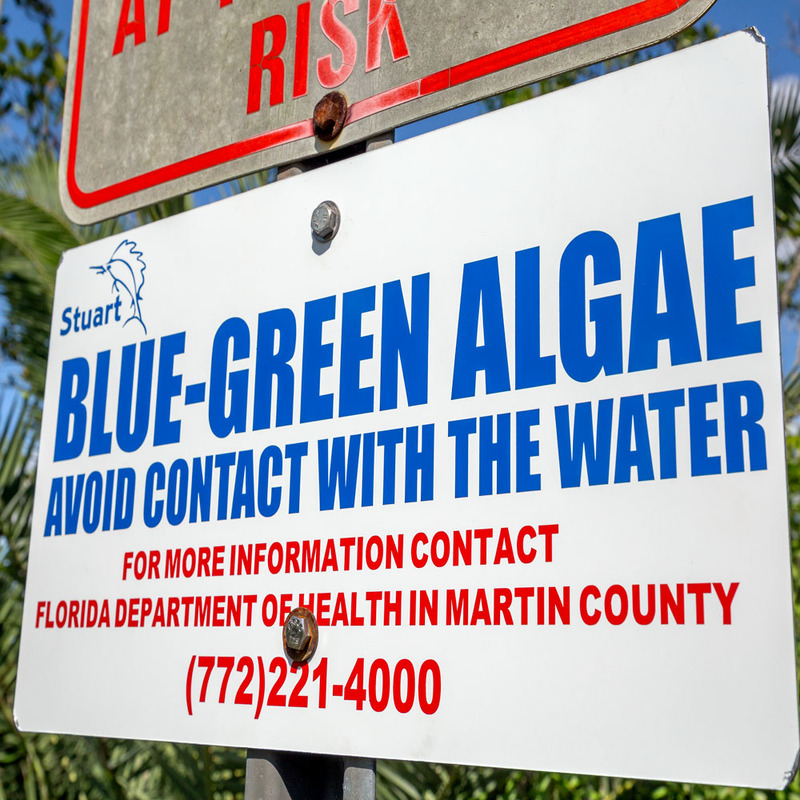 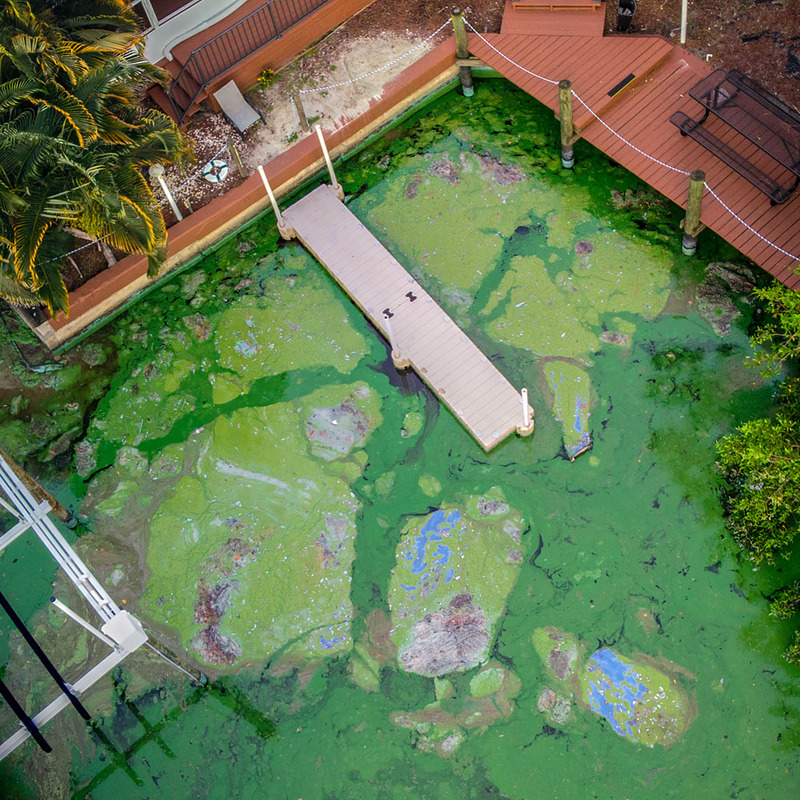 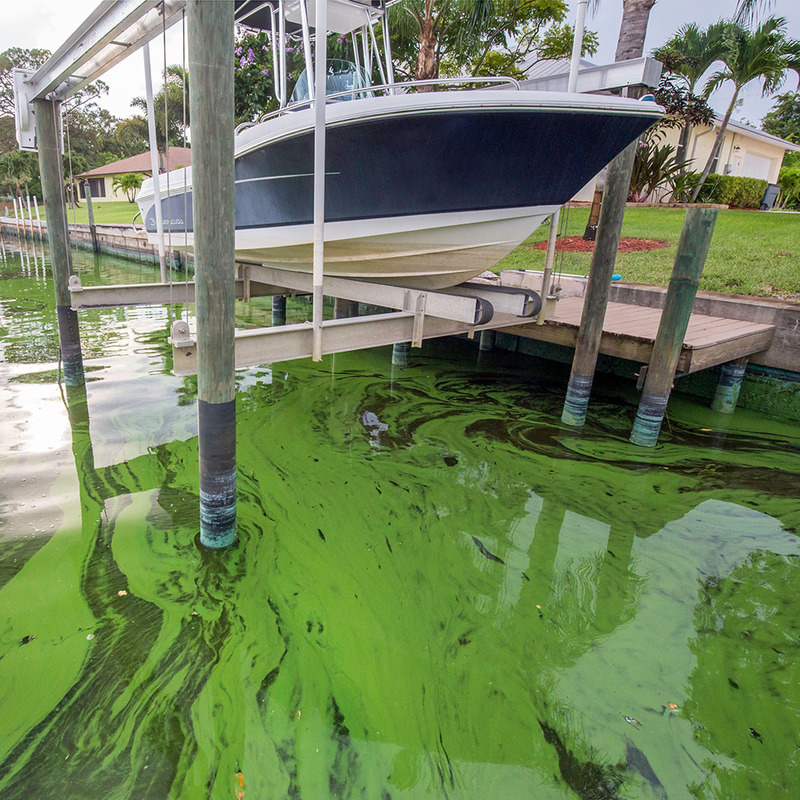 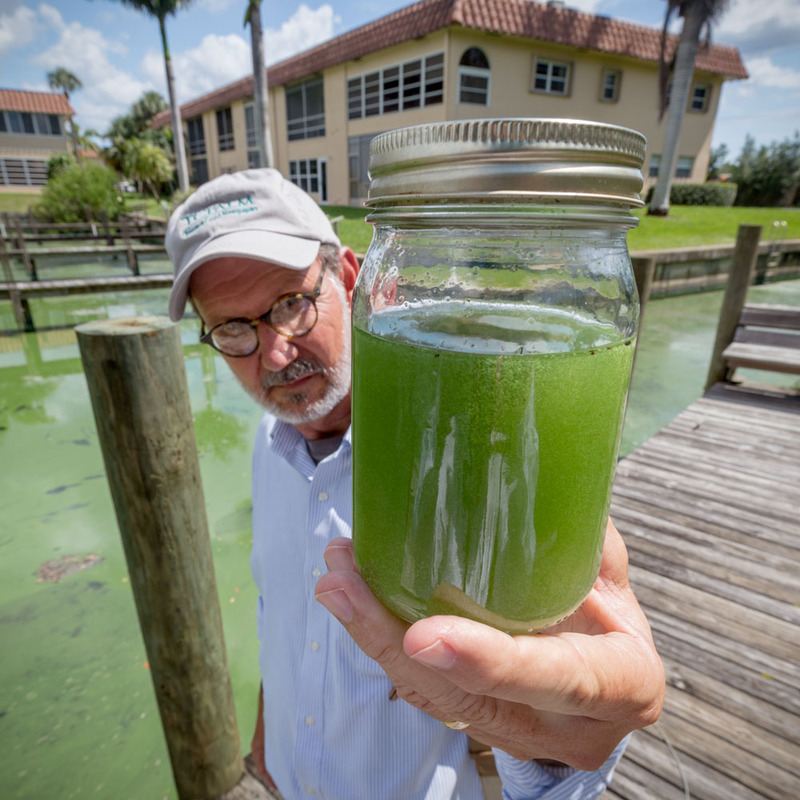 When Ed and I photographed, the algae was just west of the beautiful peninsula of Sewall’s Point and out in the main St Lucie River. 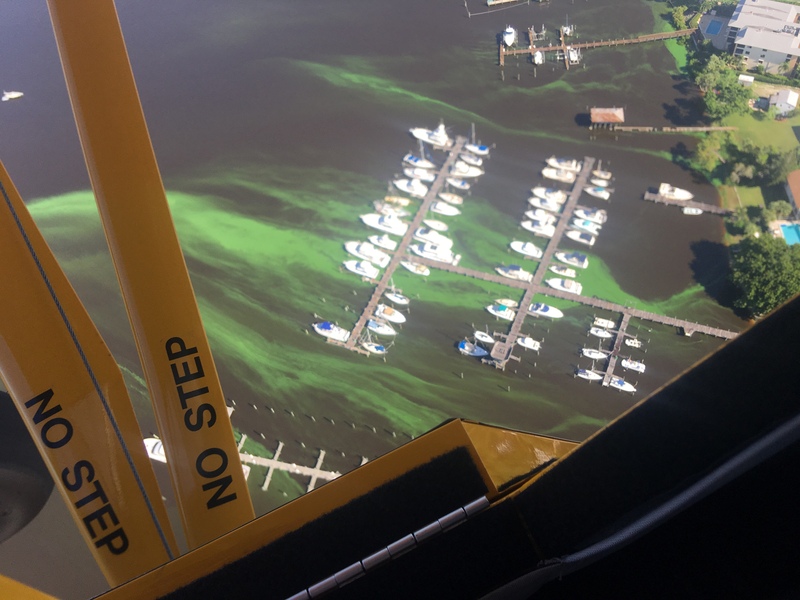 God what have we done? 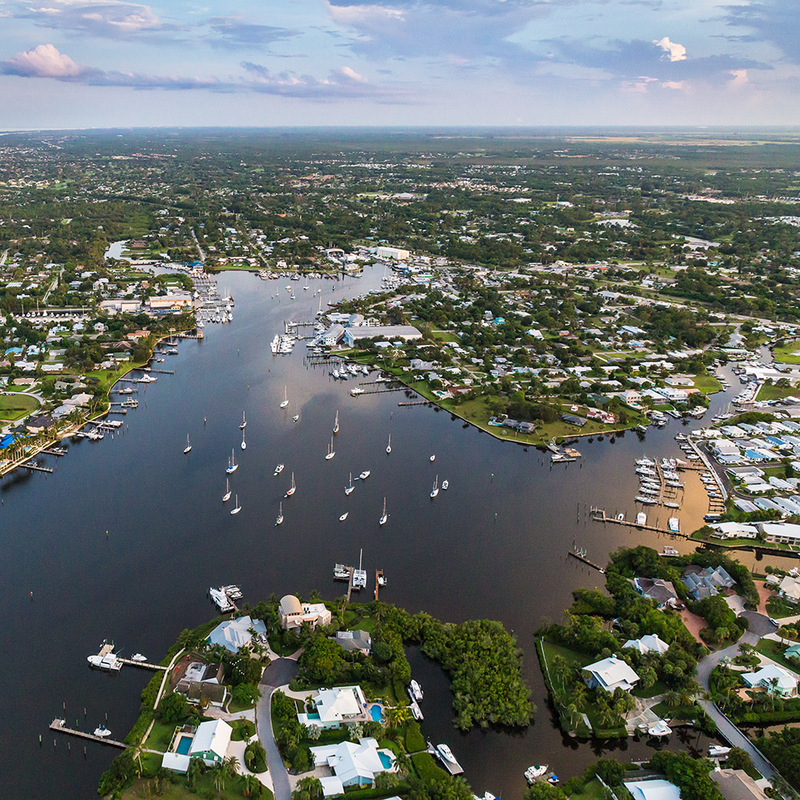 My home town? 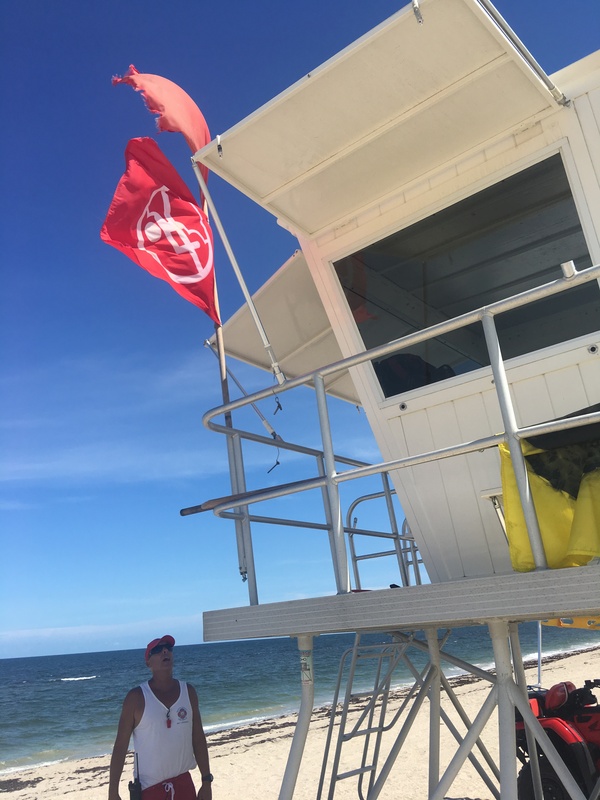 To close the beach or not to close the beach, that is not the question. 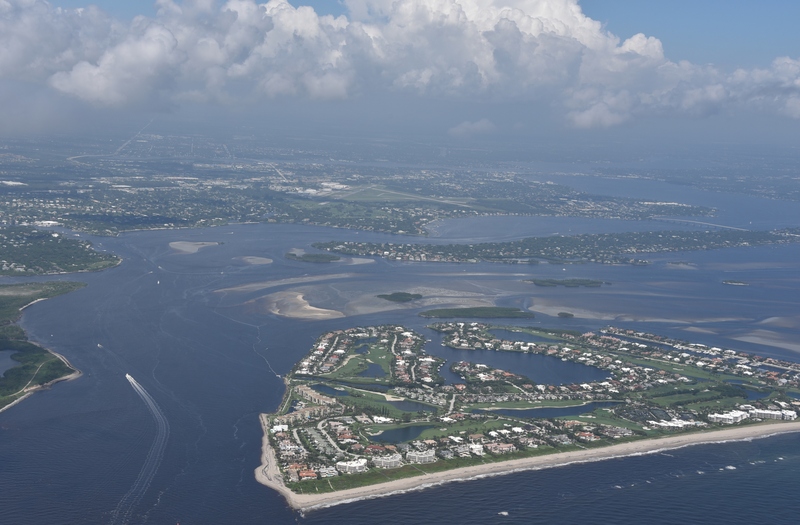 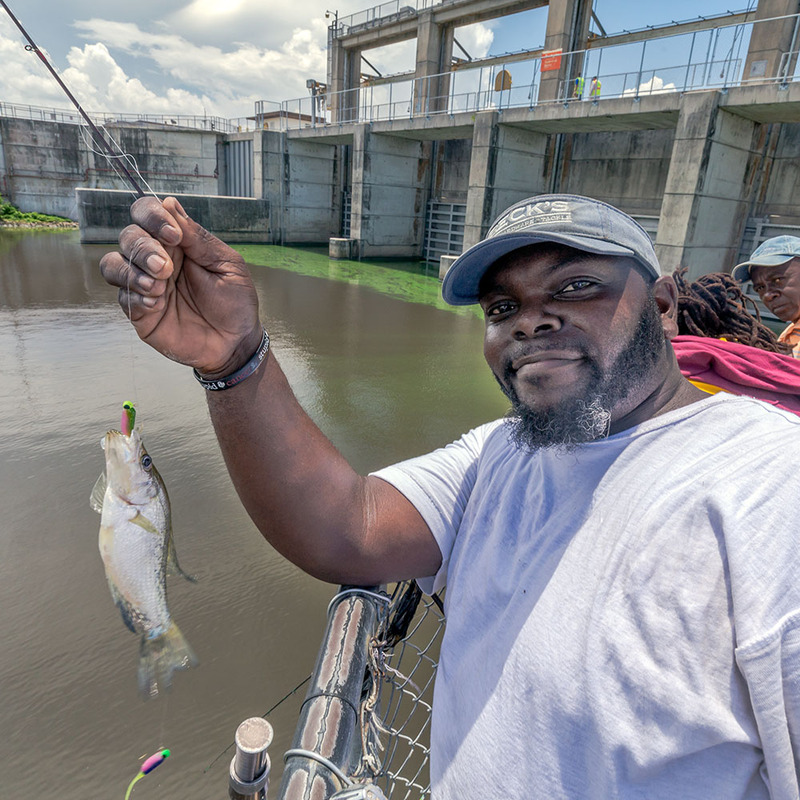 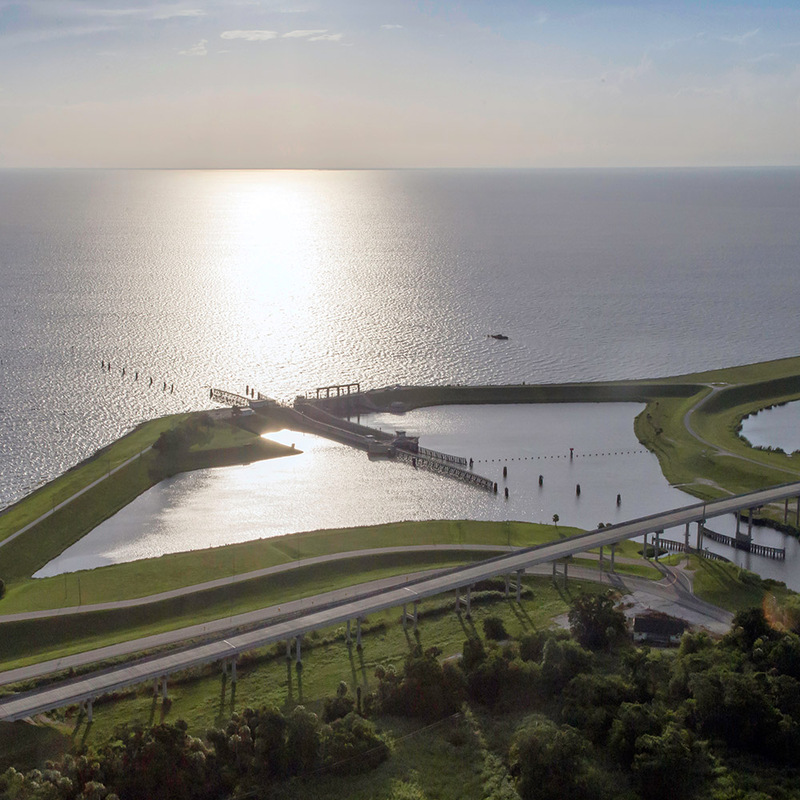 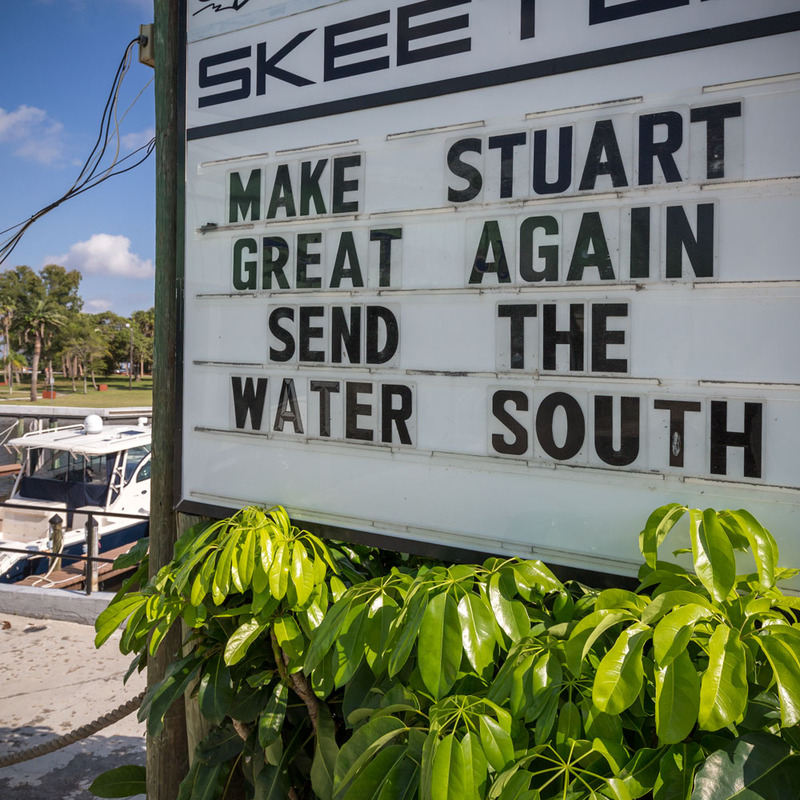 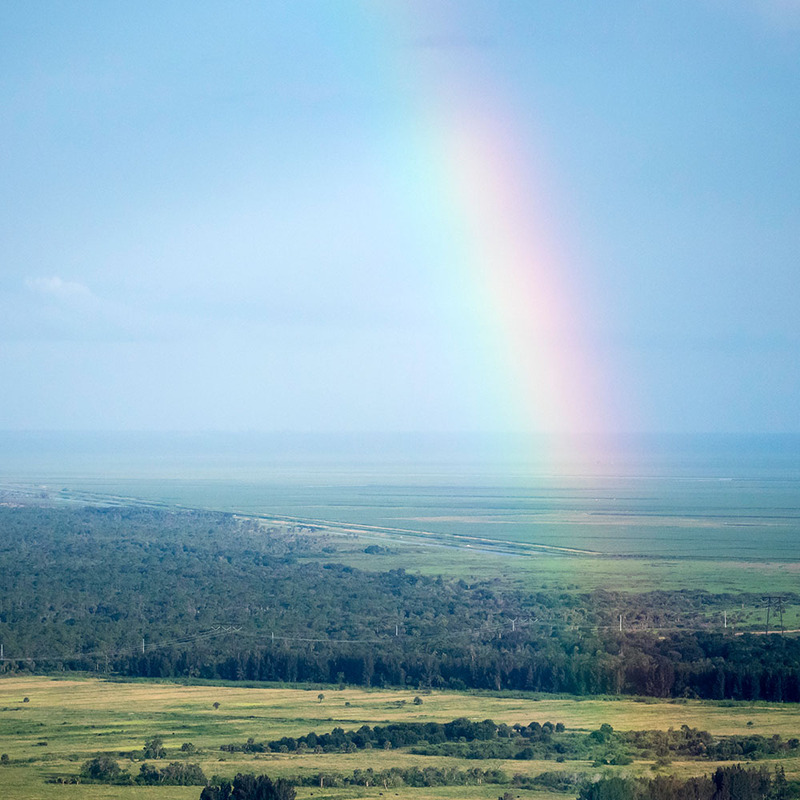 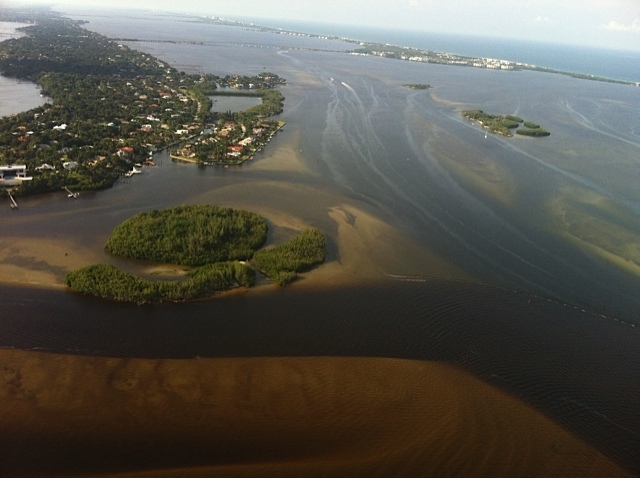 The question is how did the state of Florida let the most bio-diverse estuary in North America go straight to hell. 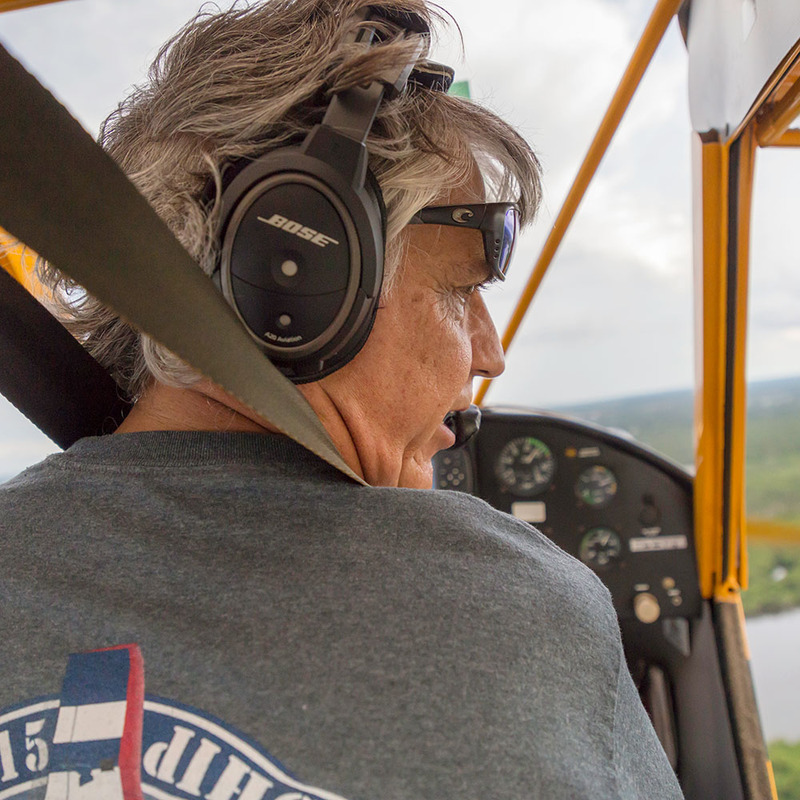 The wild thing about flying in the SuperCub is that I can communicate via text and Facebook. 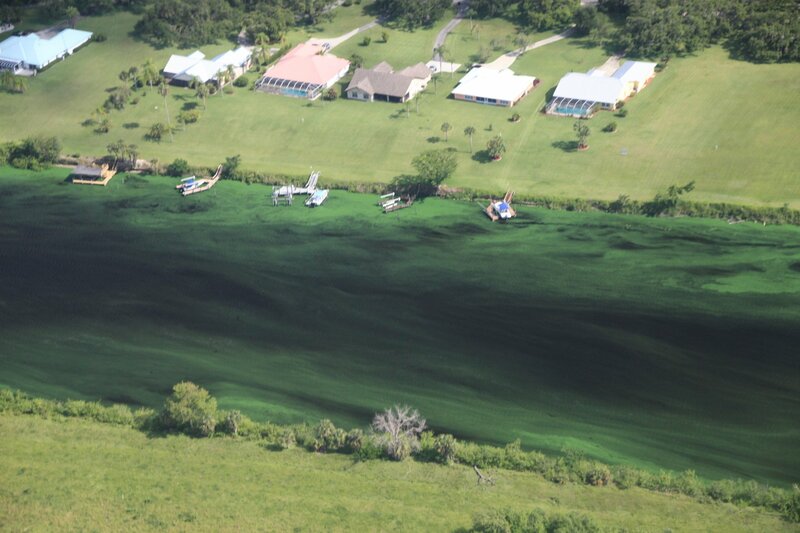 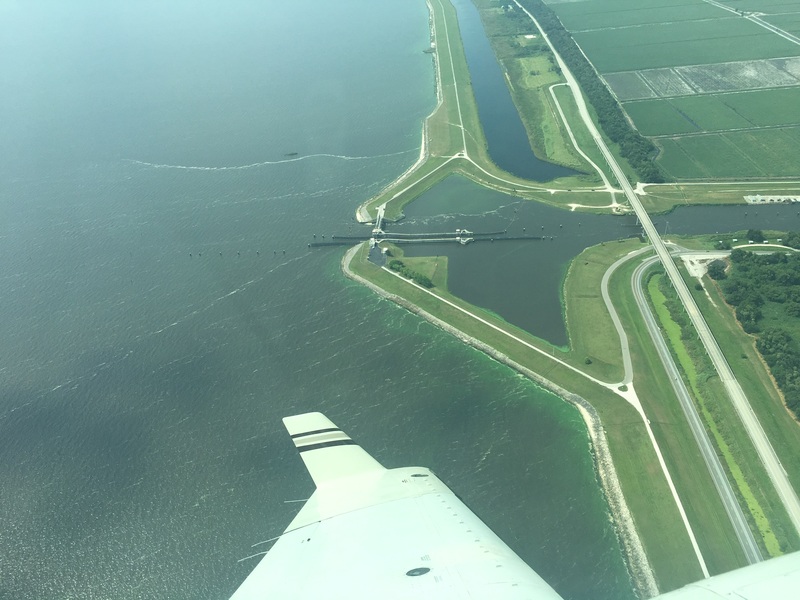 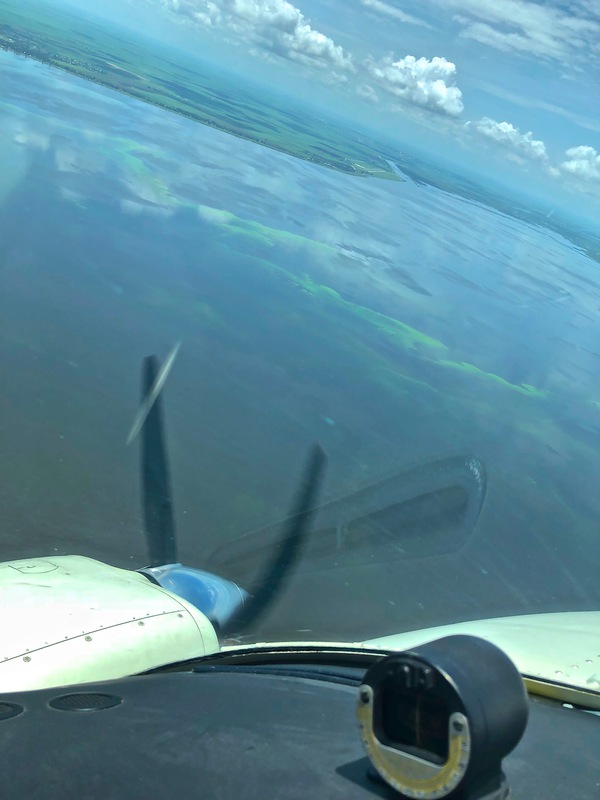 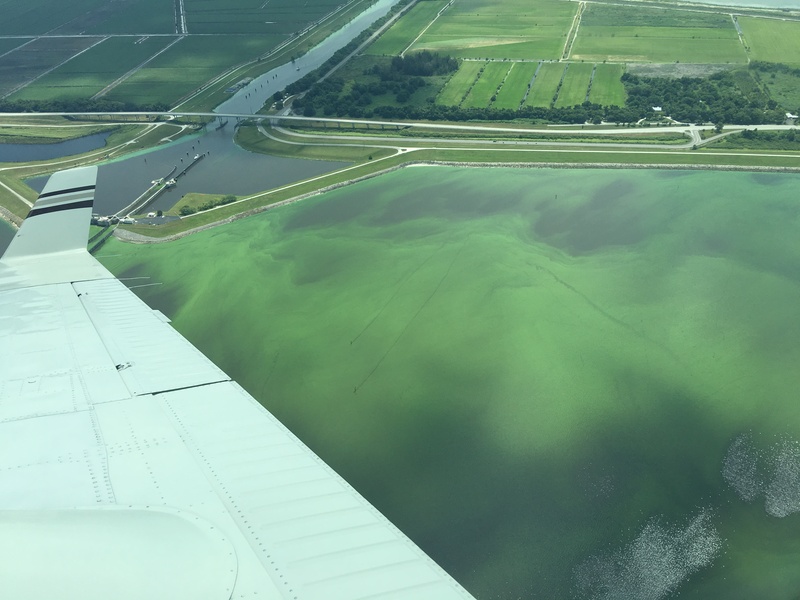 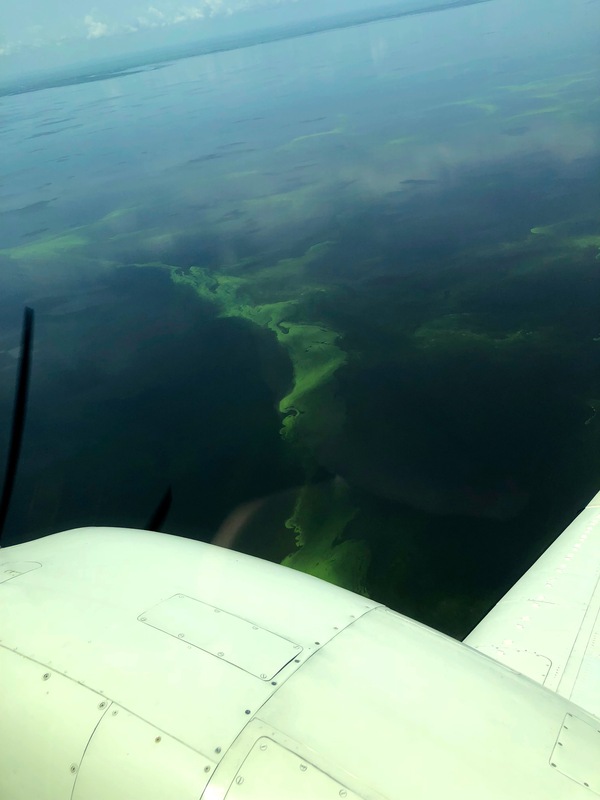 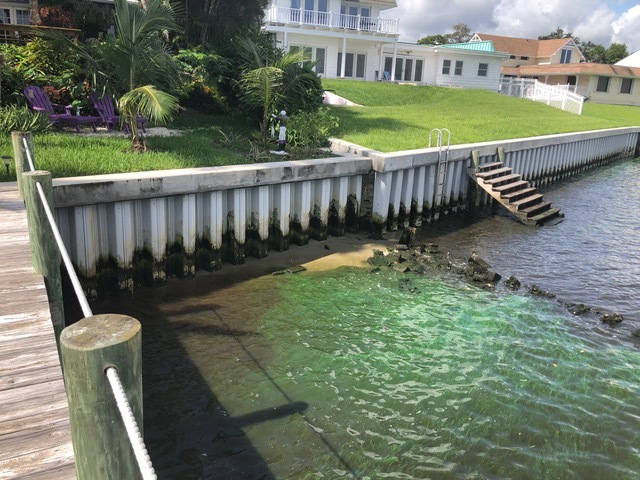 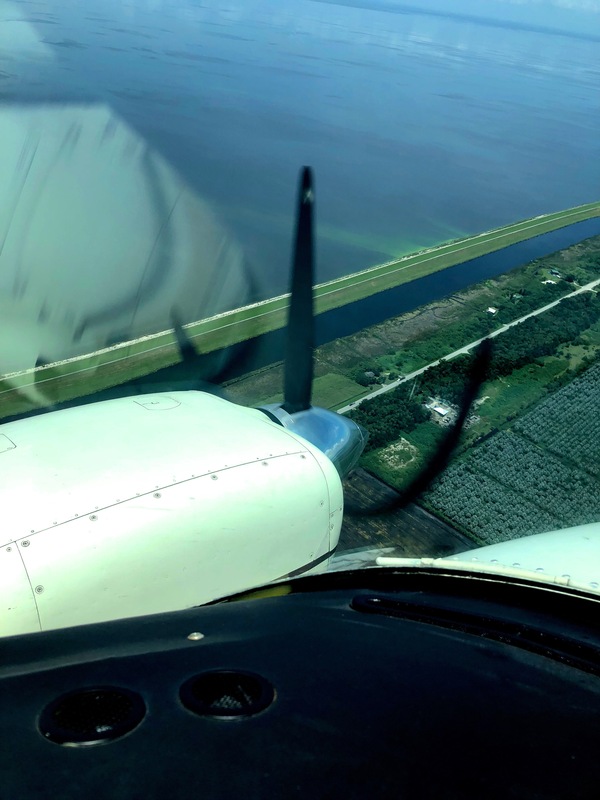 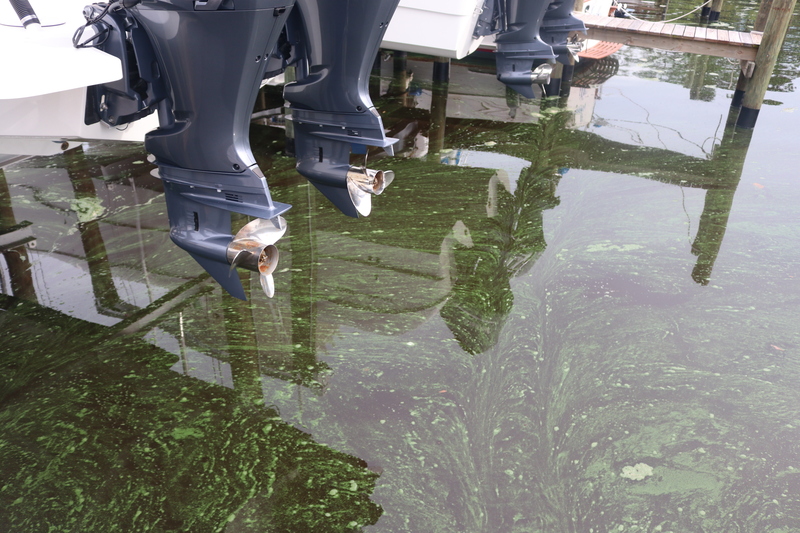 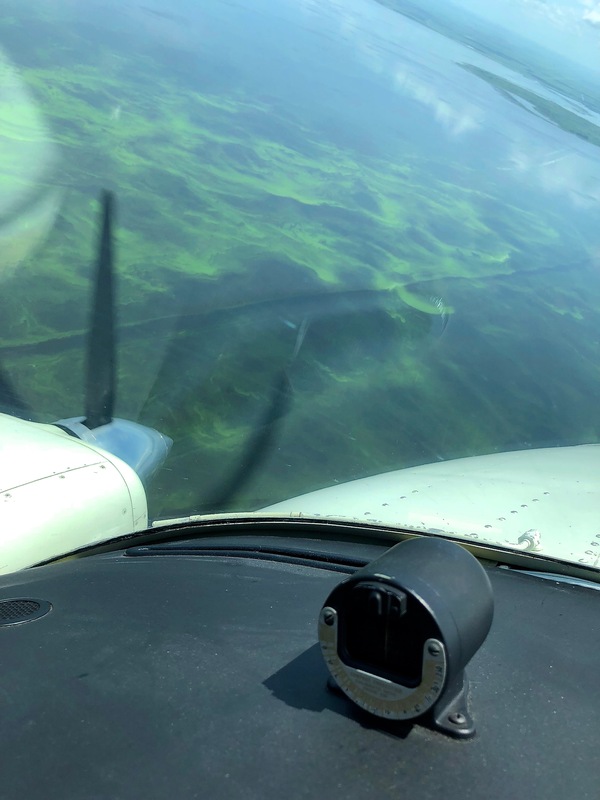 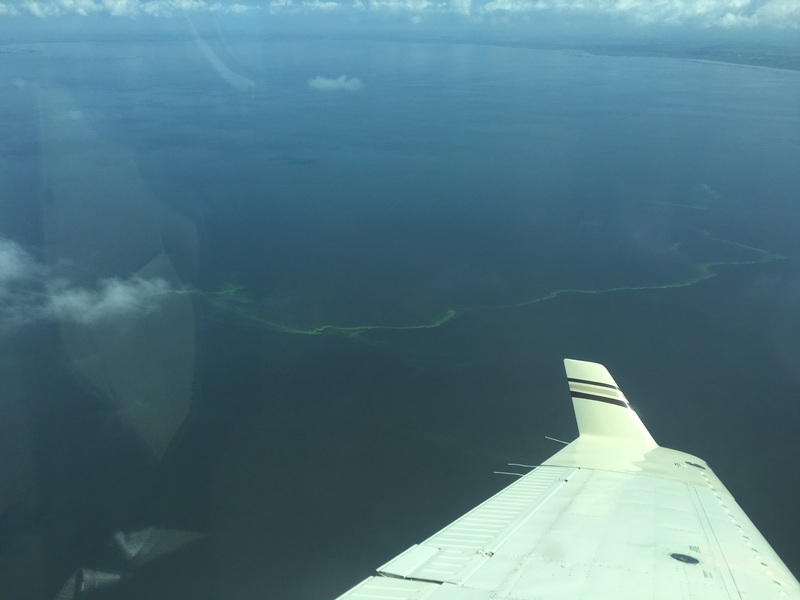 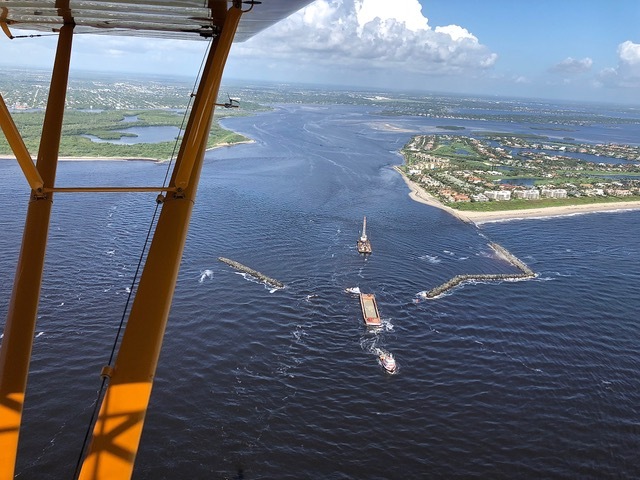 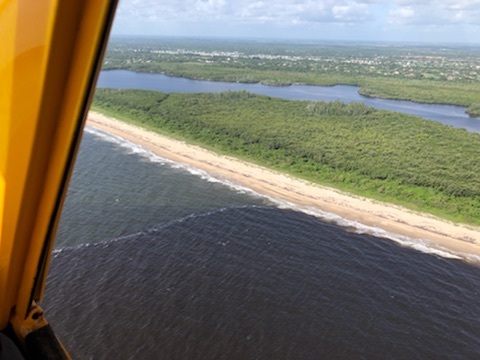 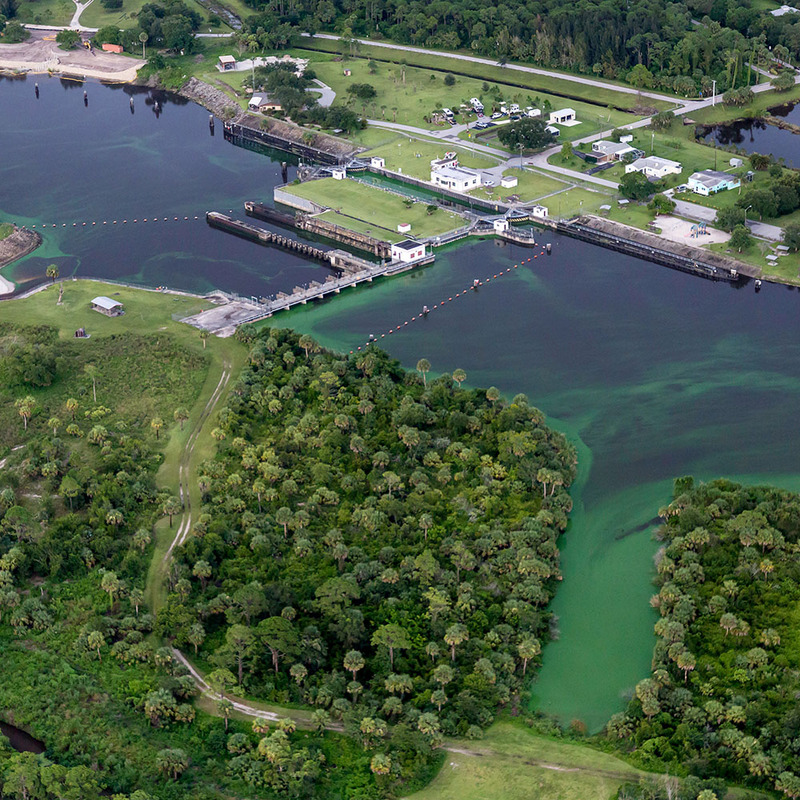 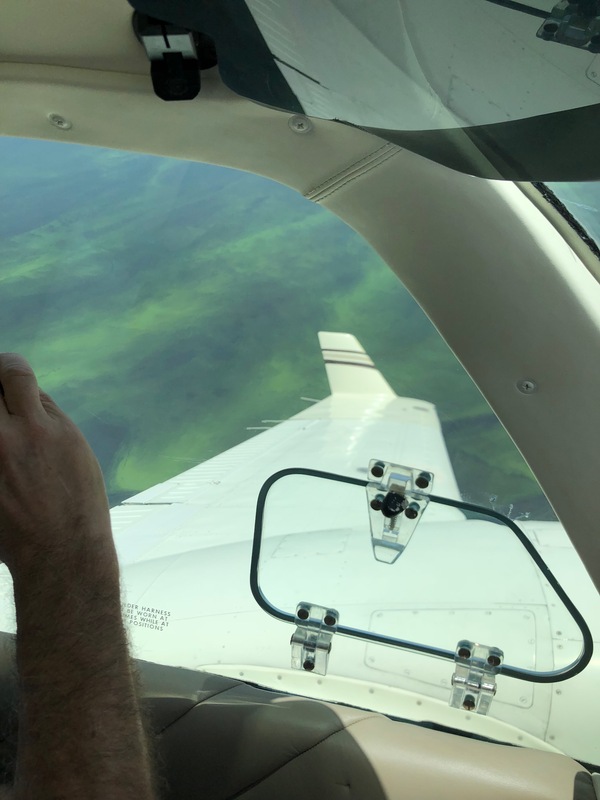 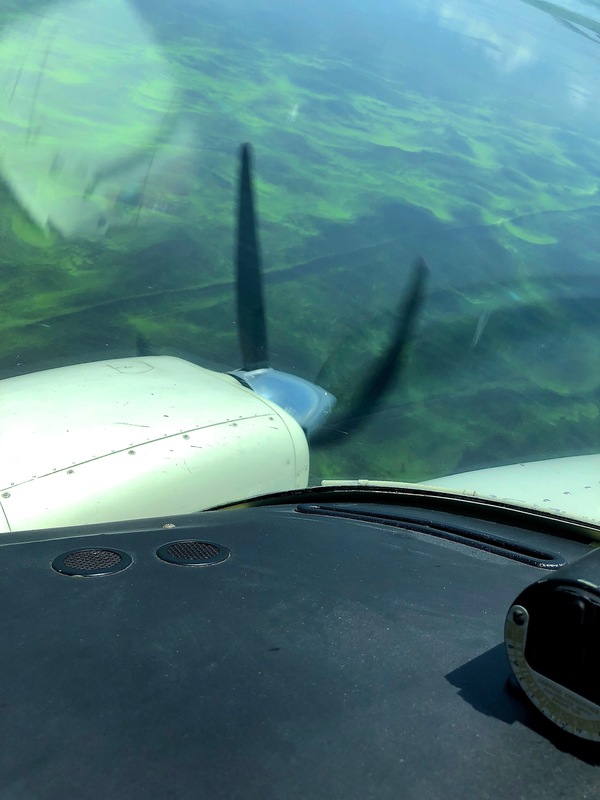 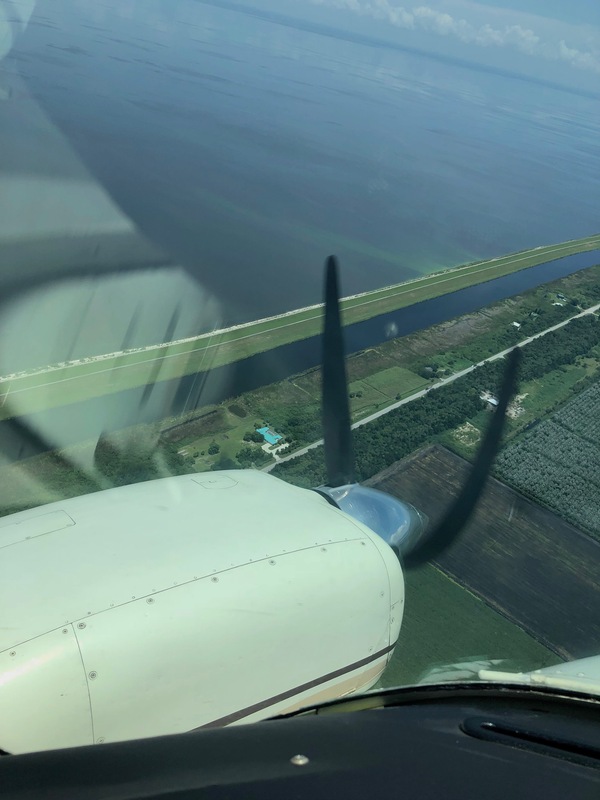 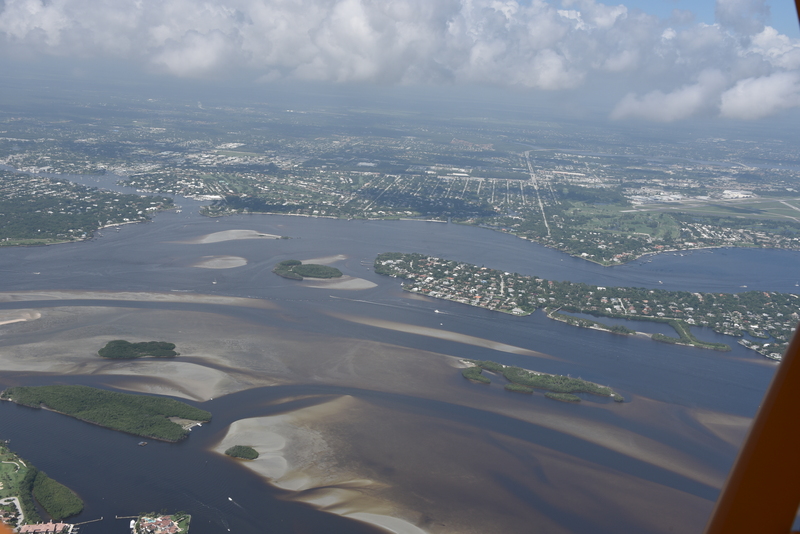 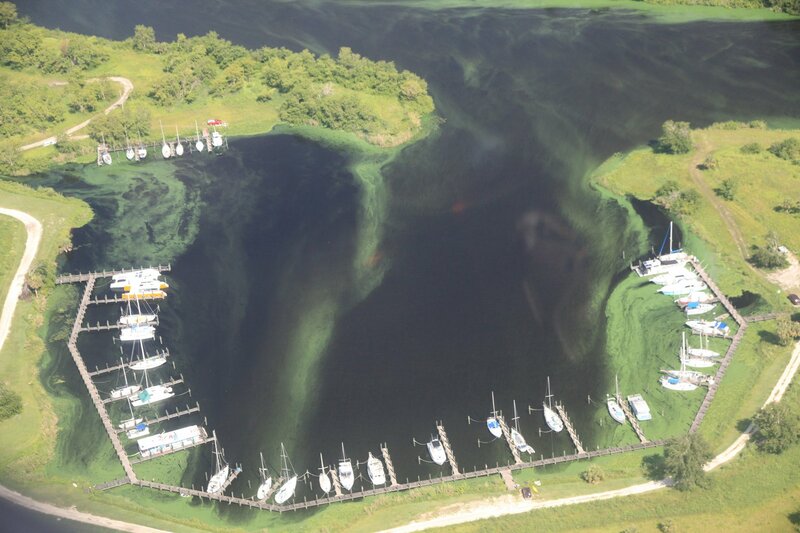 As Ed and I were taking photos from the sky of what was heading to Martin County beaches, reports were coming in of the algae blowing up from the ground from my friend Mary Radabaugh at Central Marine, located in the same area Ed and I were flying. 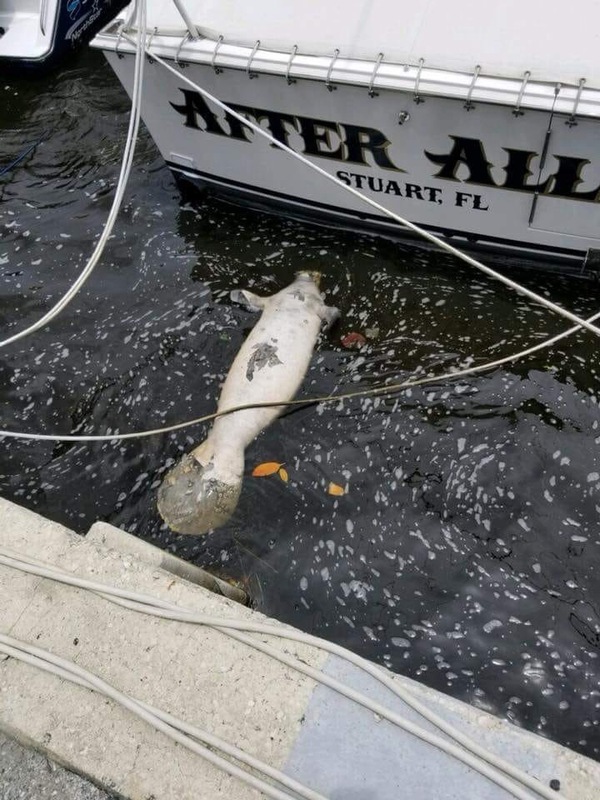 Go to Toxic#18 Facebook for more reports.